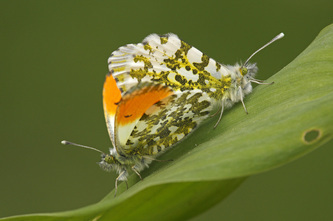 The male upperside is white with a broad orange patch beyond the cell. 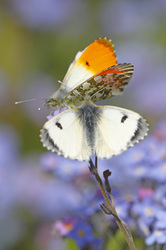 The orange is almost as extensive on the underside of the forewing, leaving a dappled green and white tip. 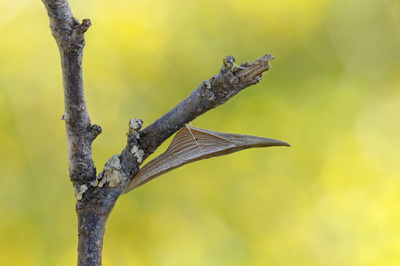 The female has no orange and her wingtips are more rounded with more black at the apex. 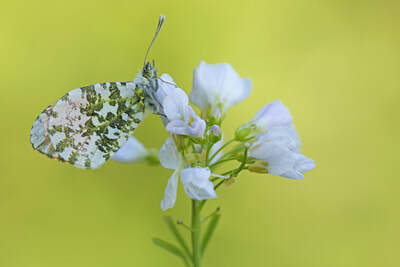 In both sexes the underside of the hindwing is regularly mottled with green and white. 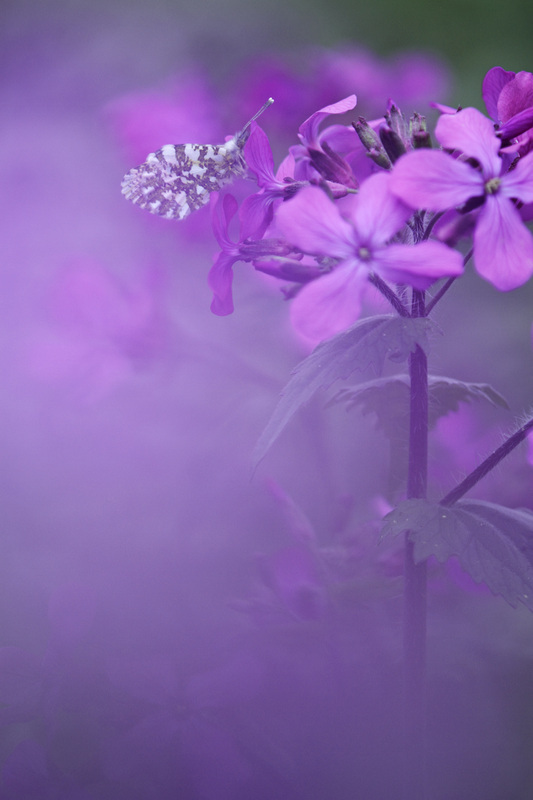 The male is unmistakable. 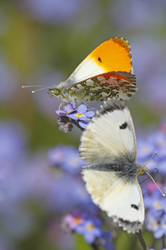 Flight from March/April to June/July in a single brood. 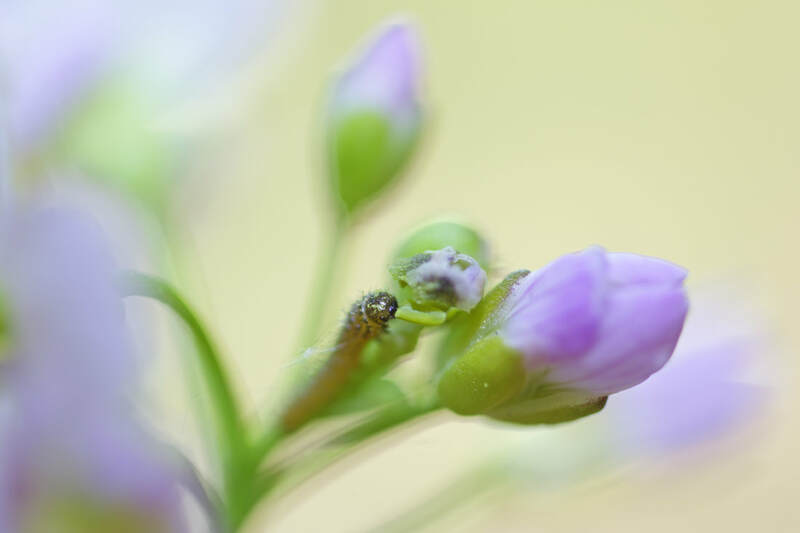 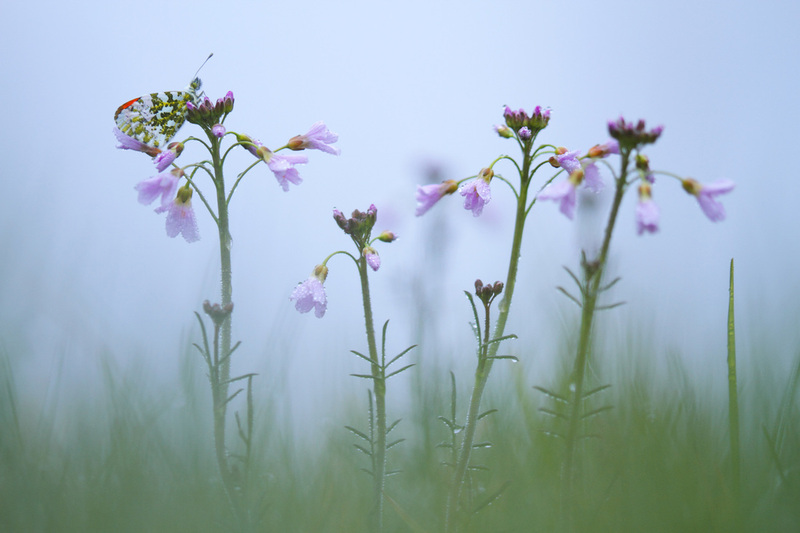 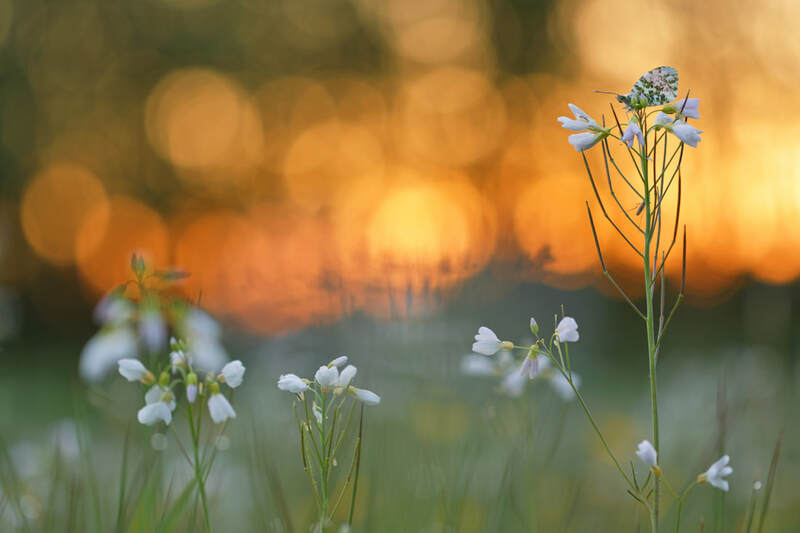 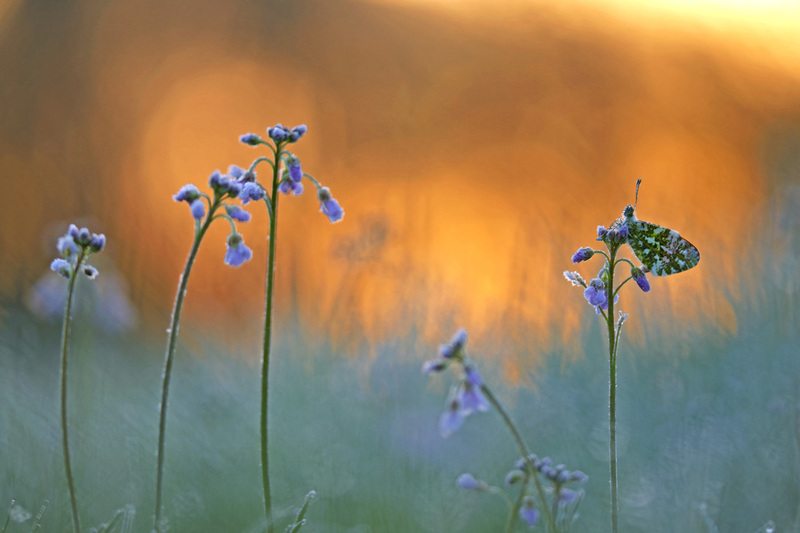 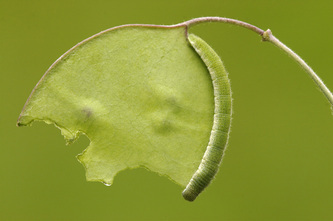 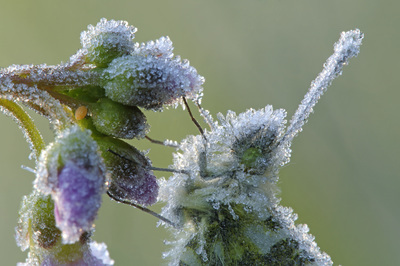 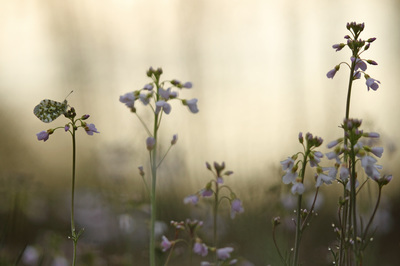 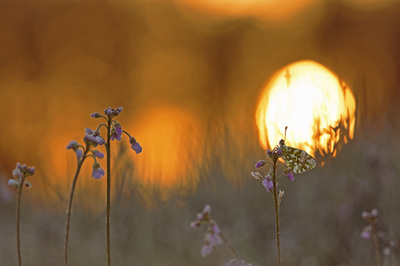 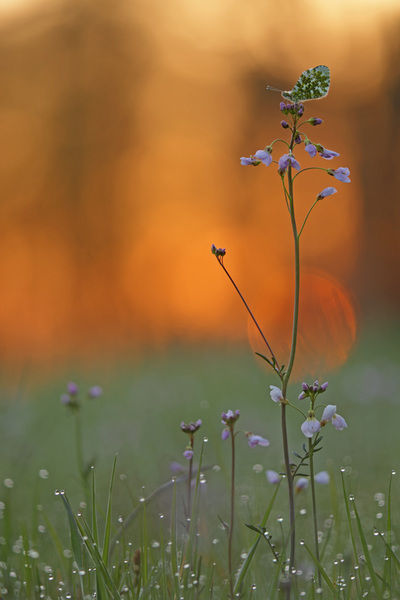 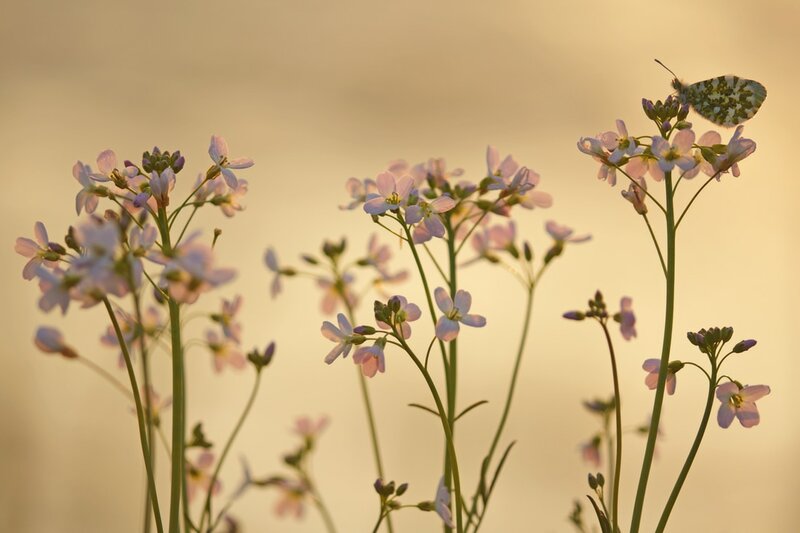 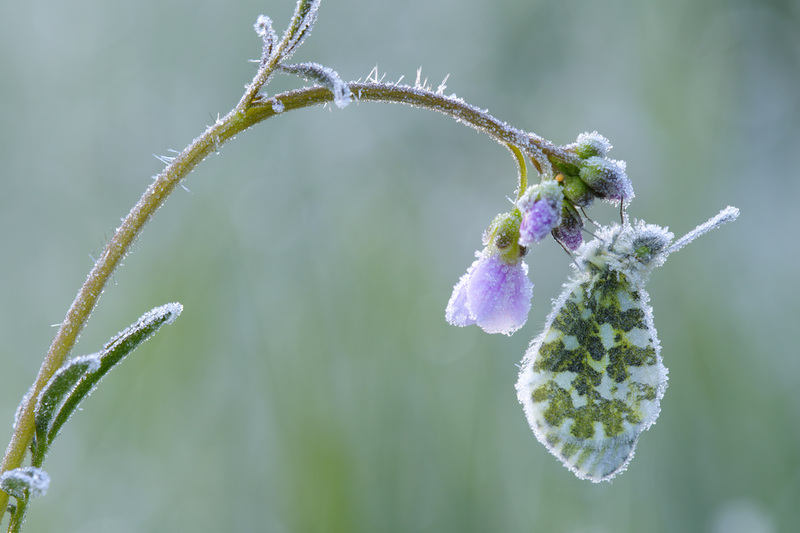 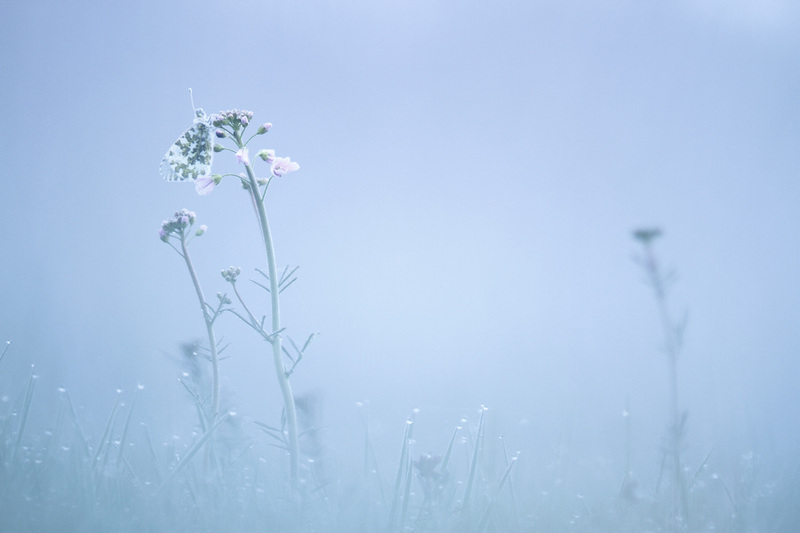 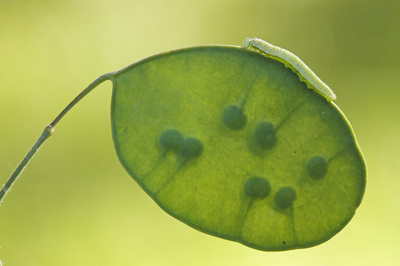 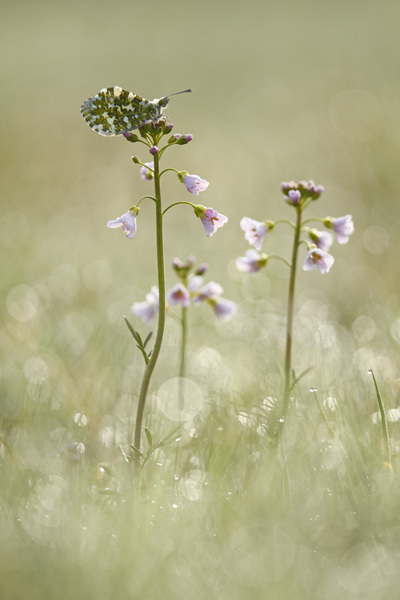 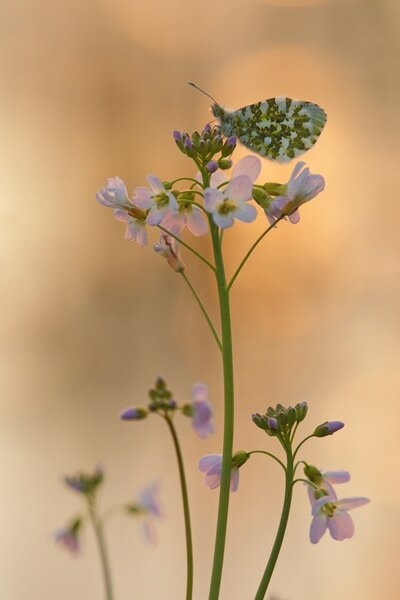 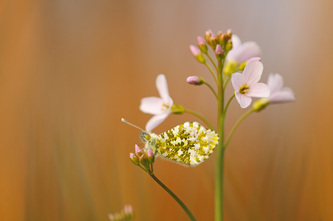 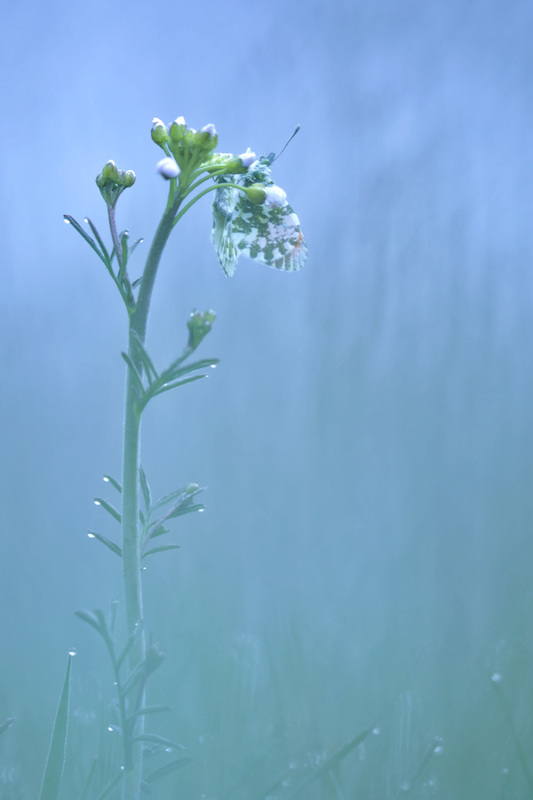 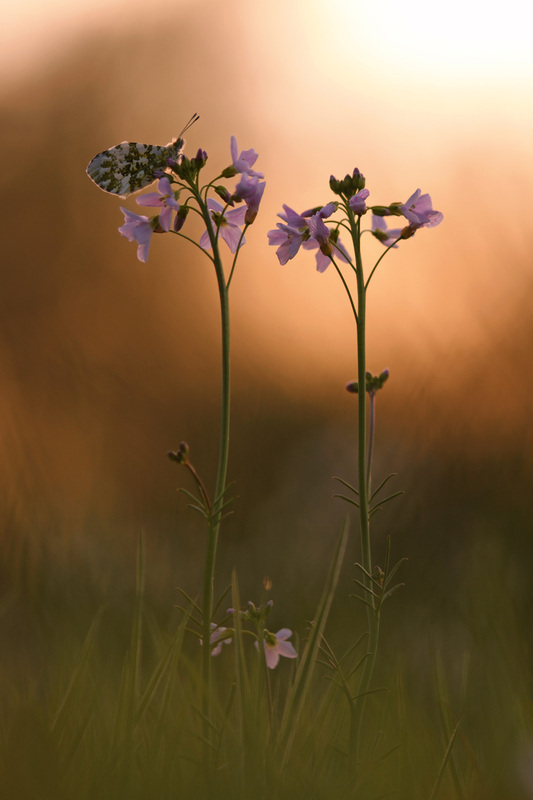 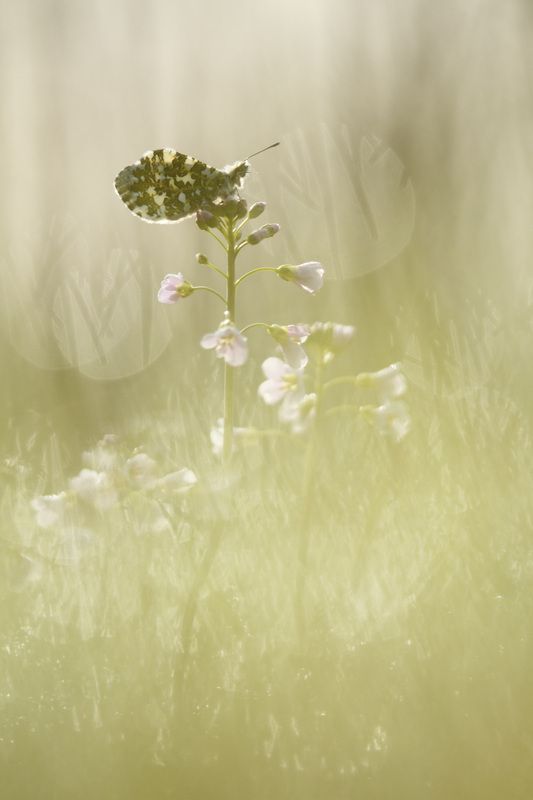 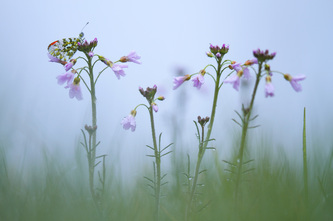 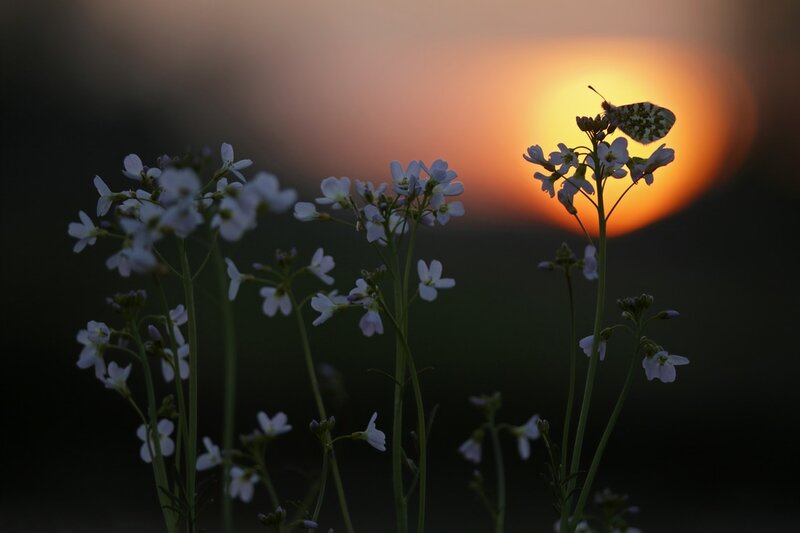 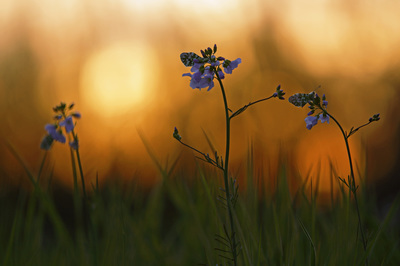 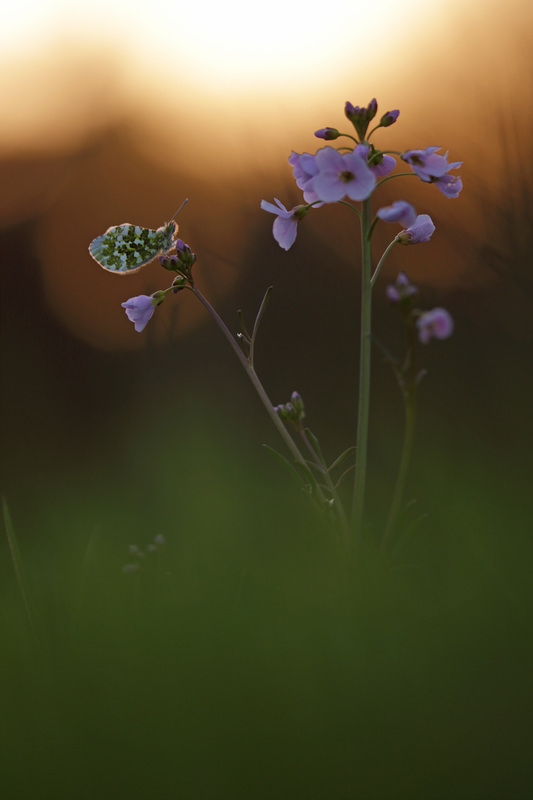 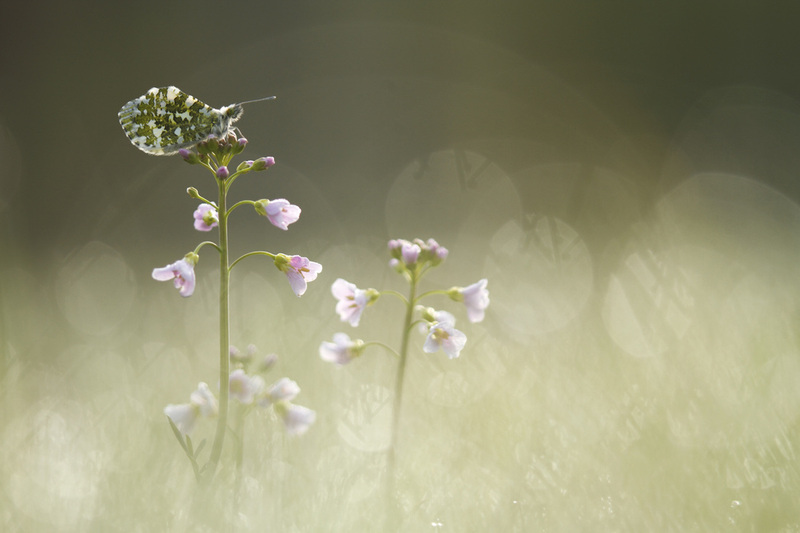 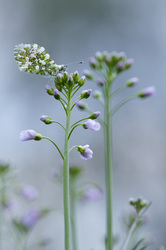 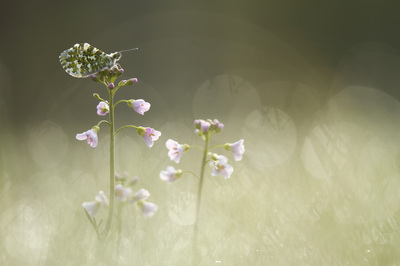 Larval foodplants include Cuckooflower, Garlic Mustard and Garden Honesty. 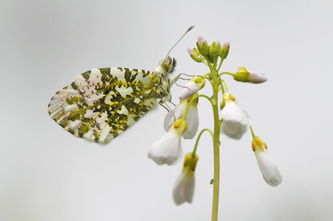 The Orange-tip is next to the Brimstone and hibernating butterflies one of the first butterflies in springtime and every year I'm happy to find and photograph them. 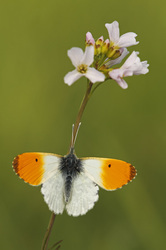 Comparing to 15 years ago the Orang-tip is doing very well in the Netherlands. 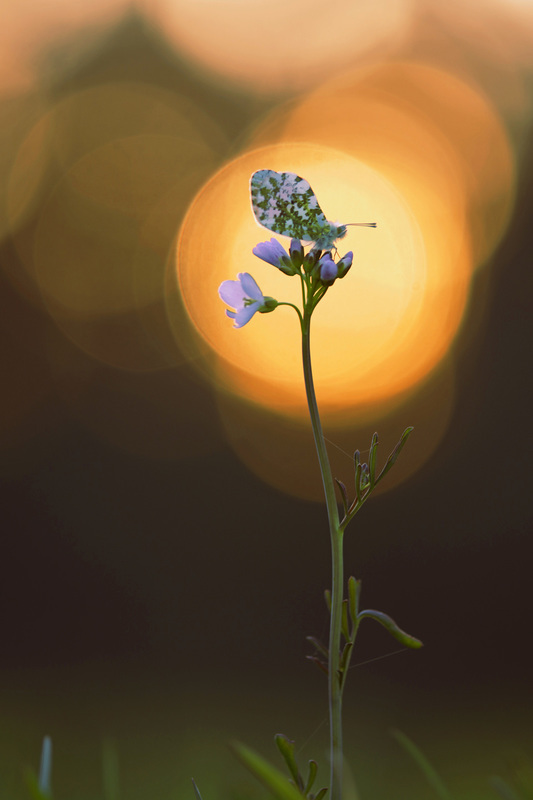 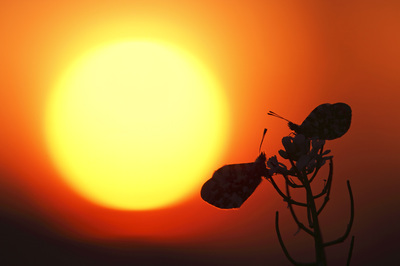 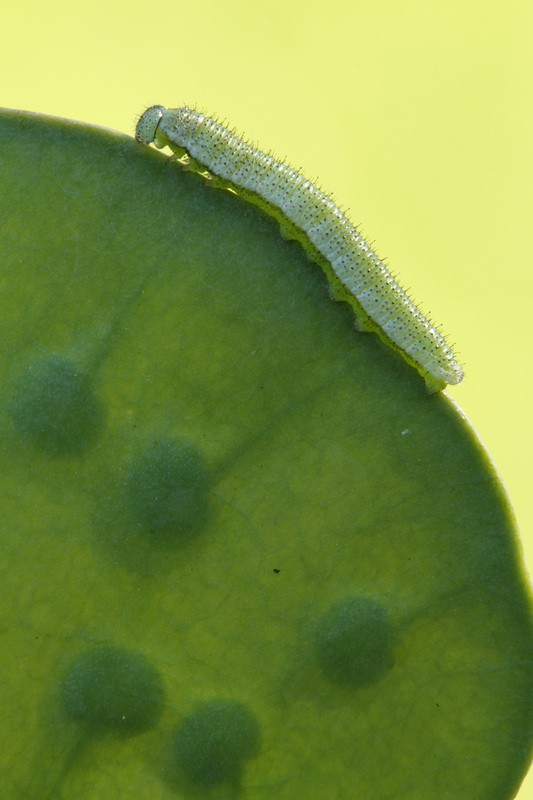 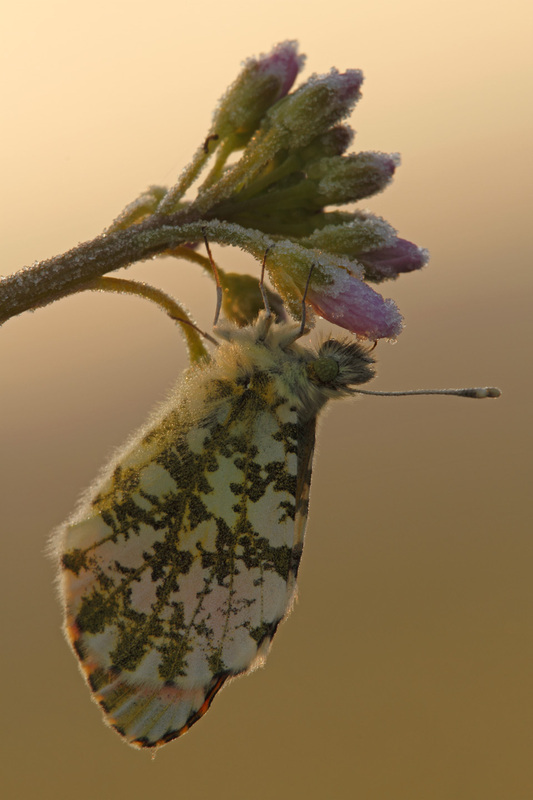 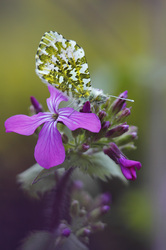 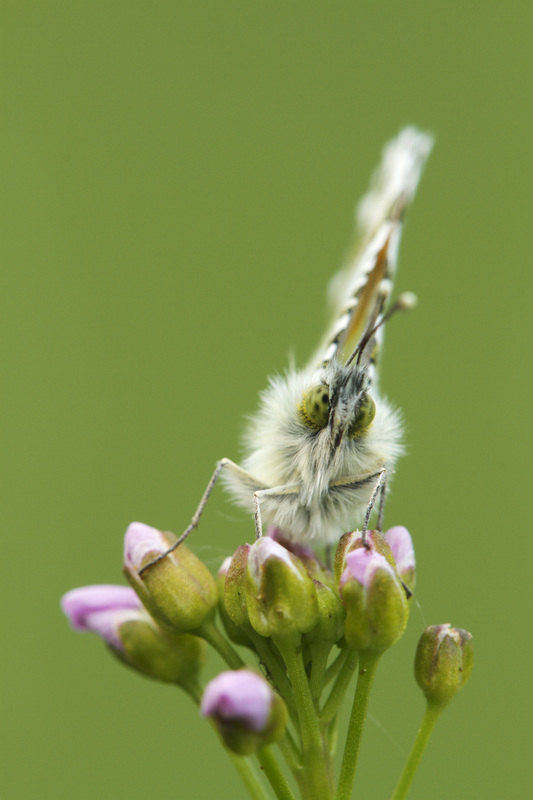 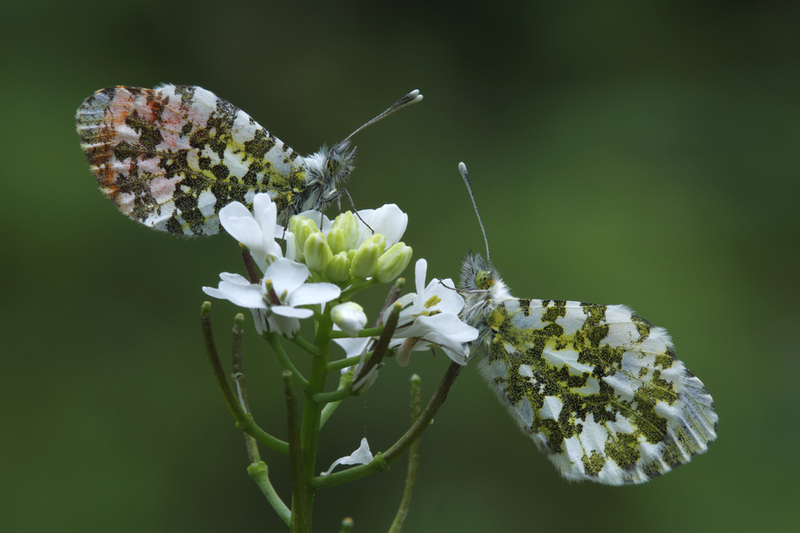 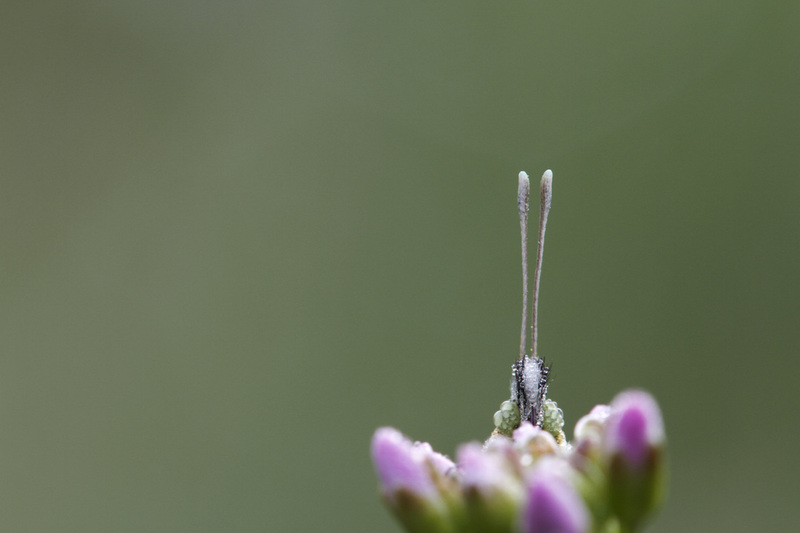 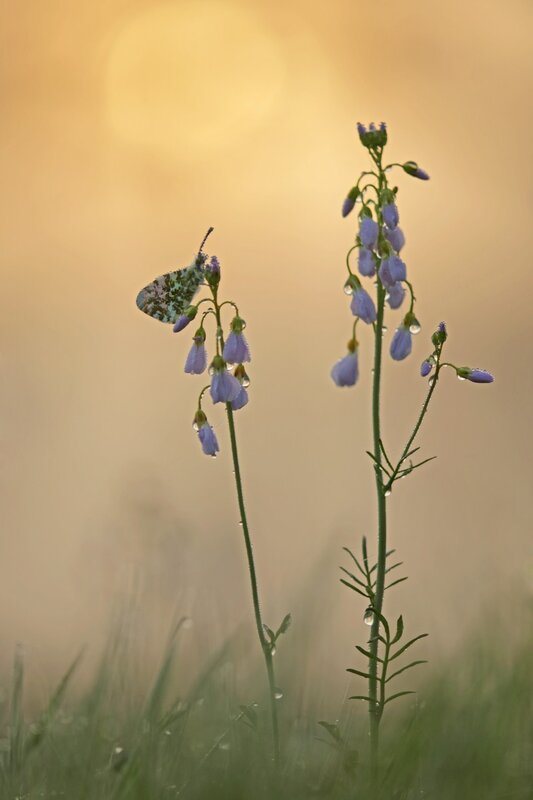 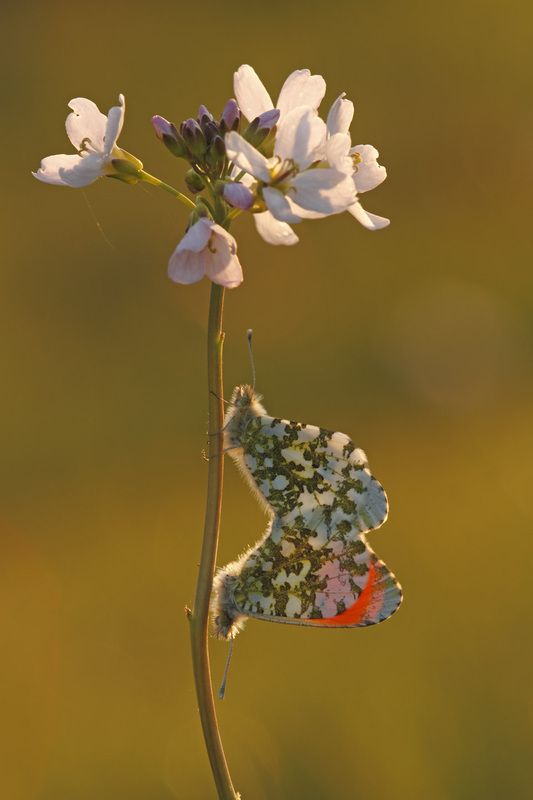 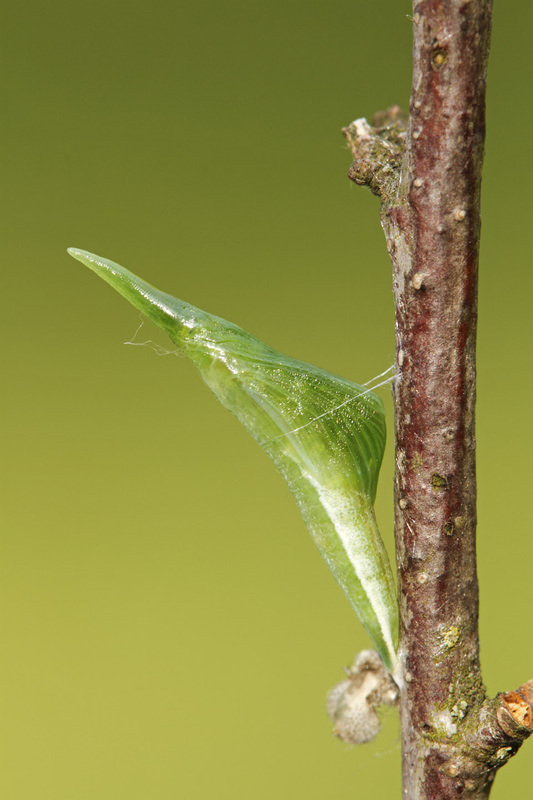 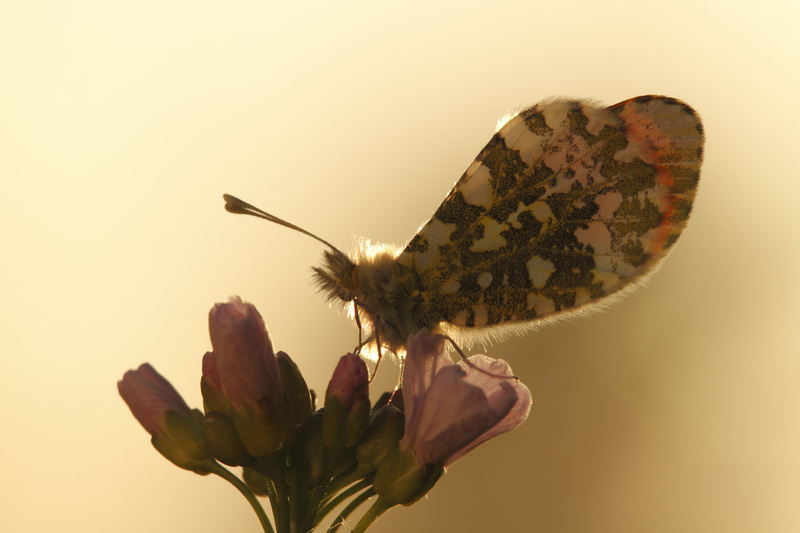 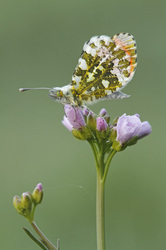 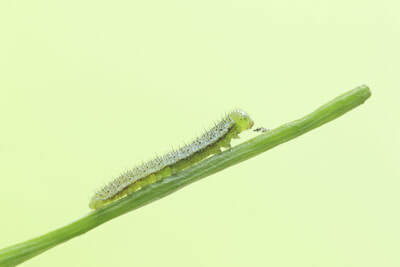 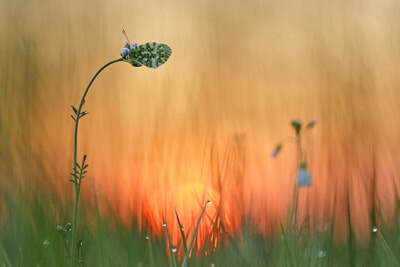 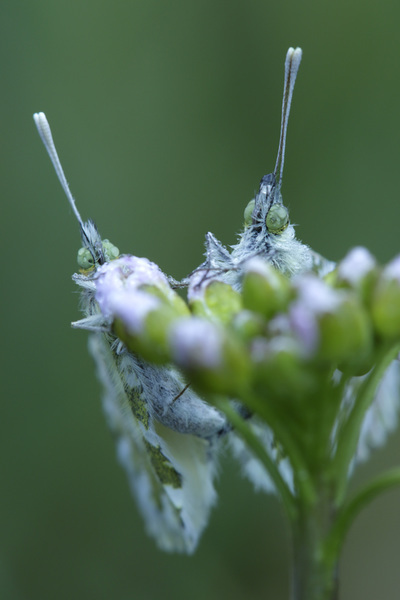 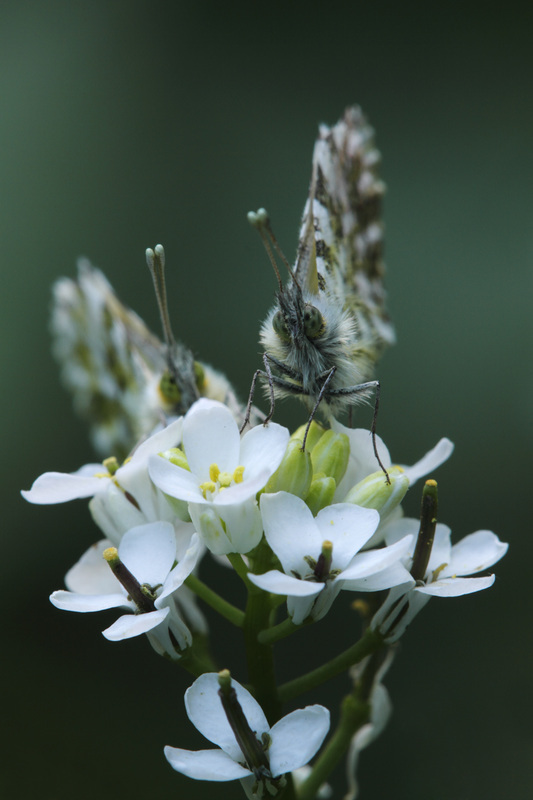 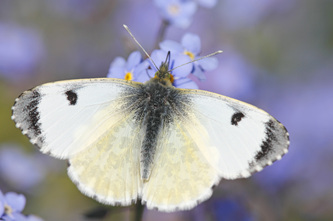 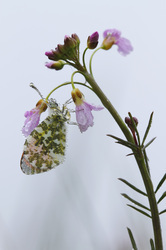 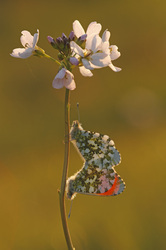 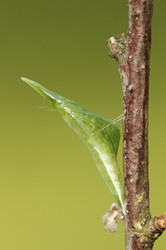 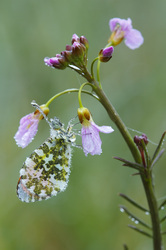 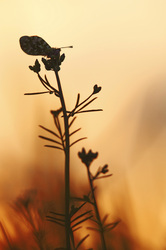 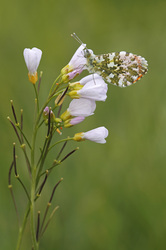 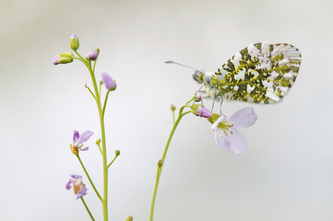 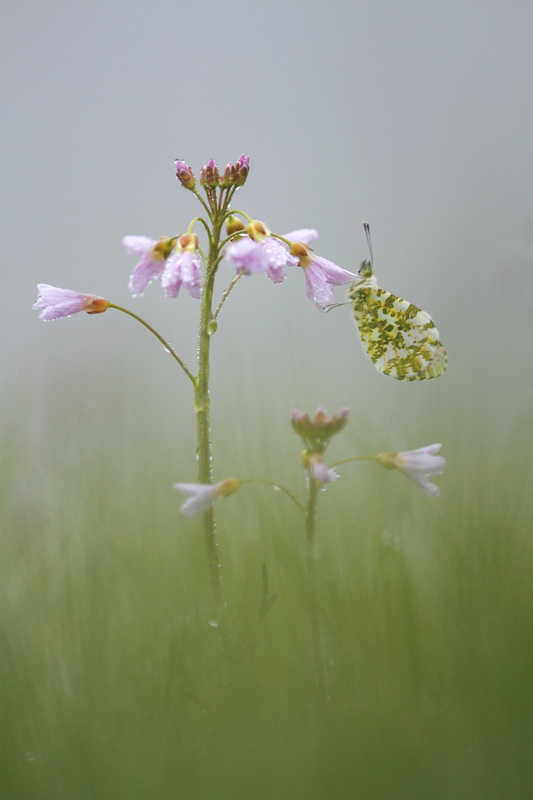 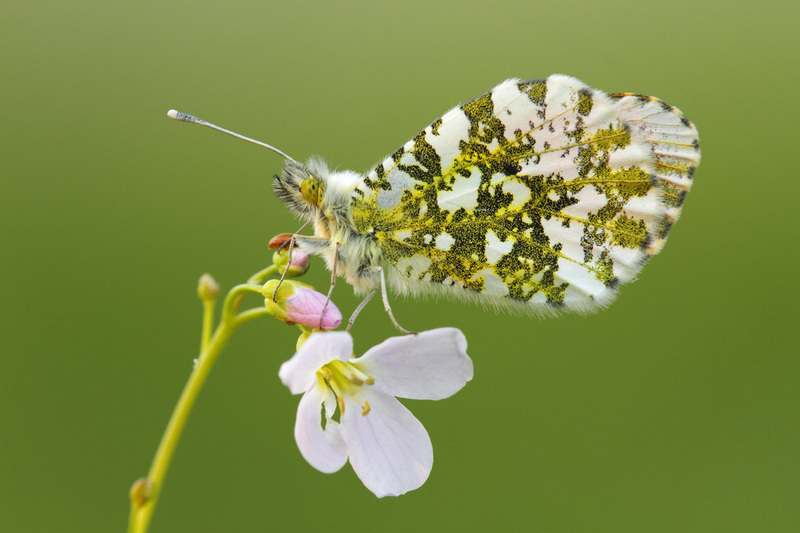 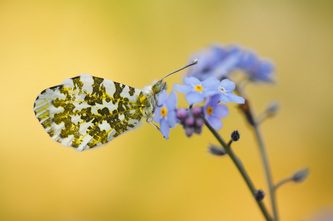 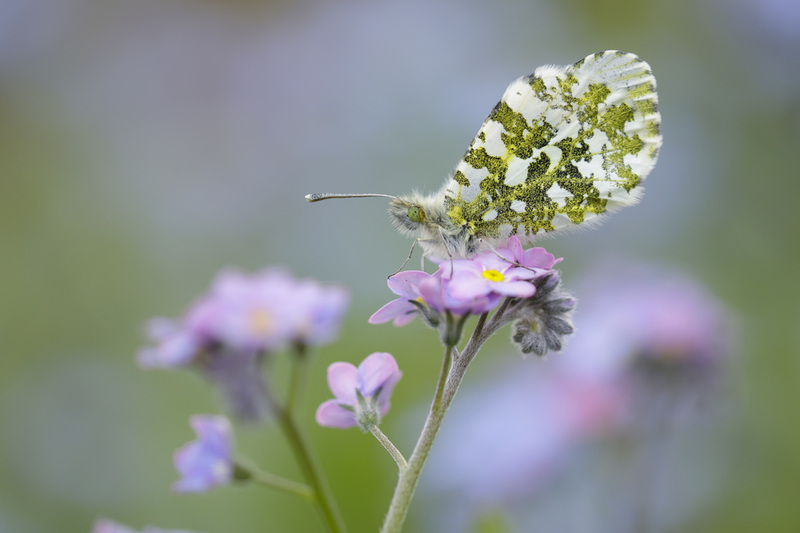 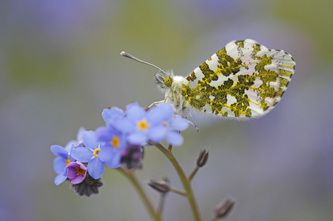 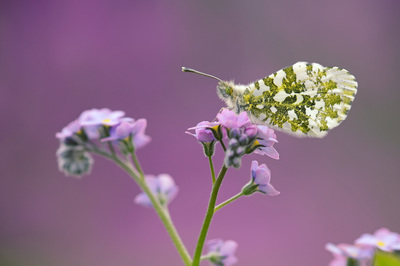 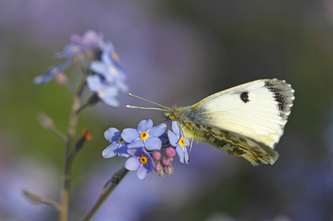 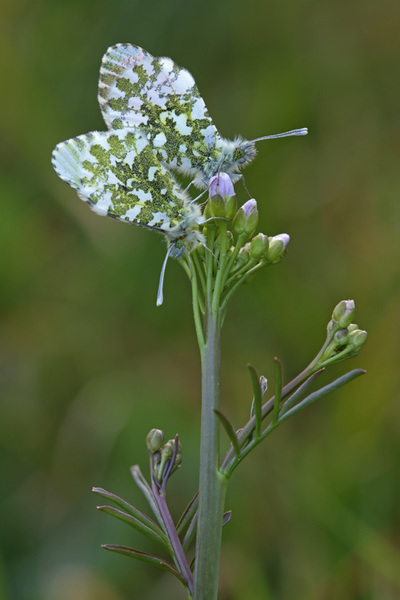 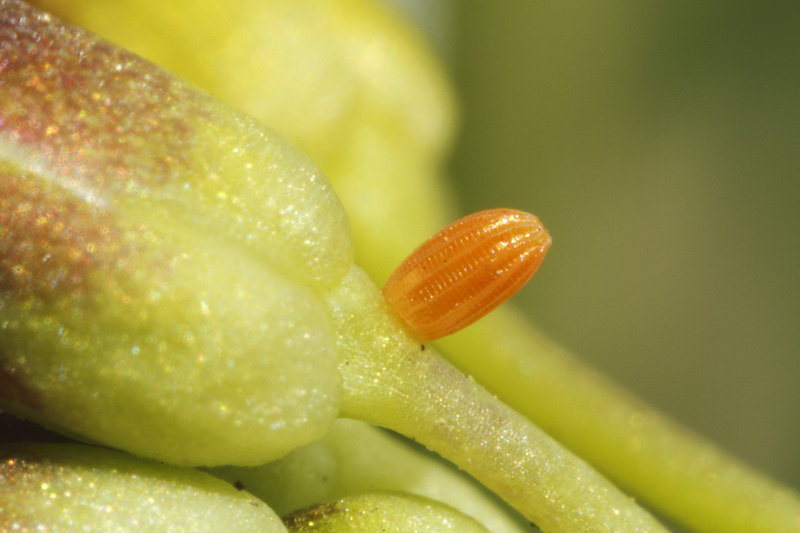 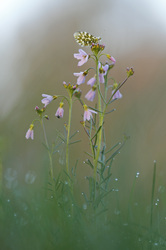 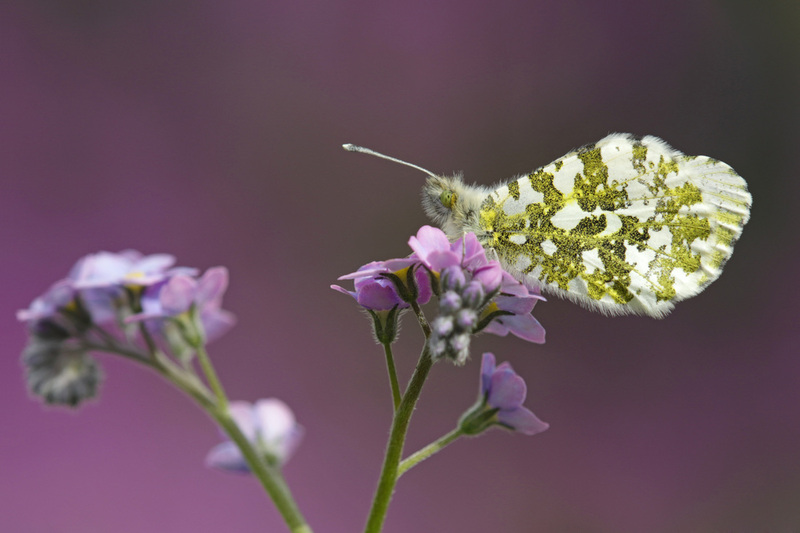 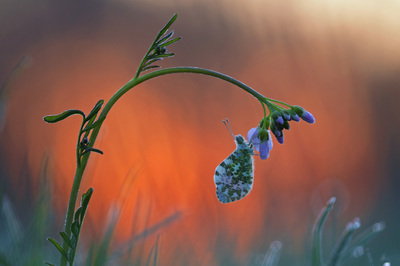 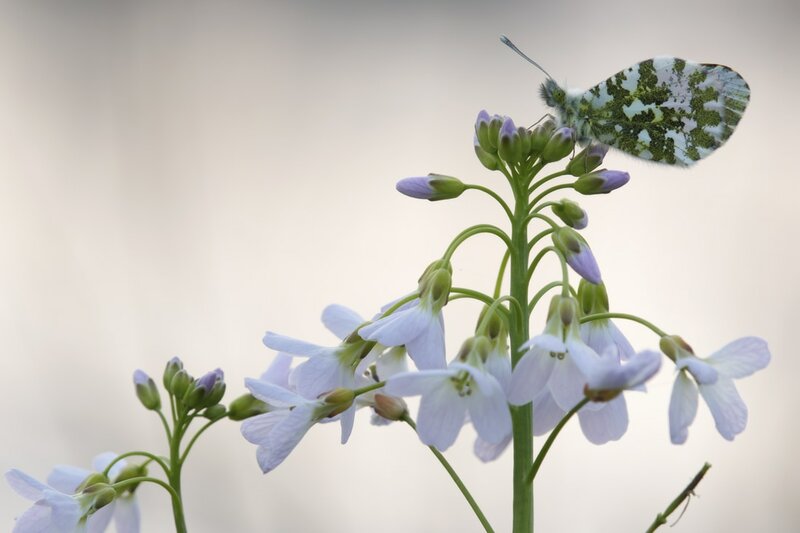 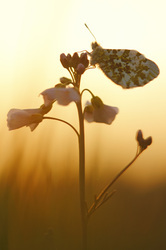 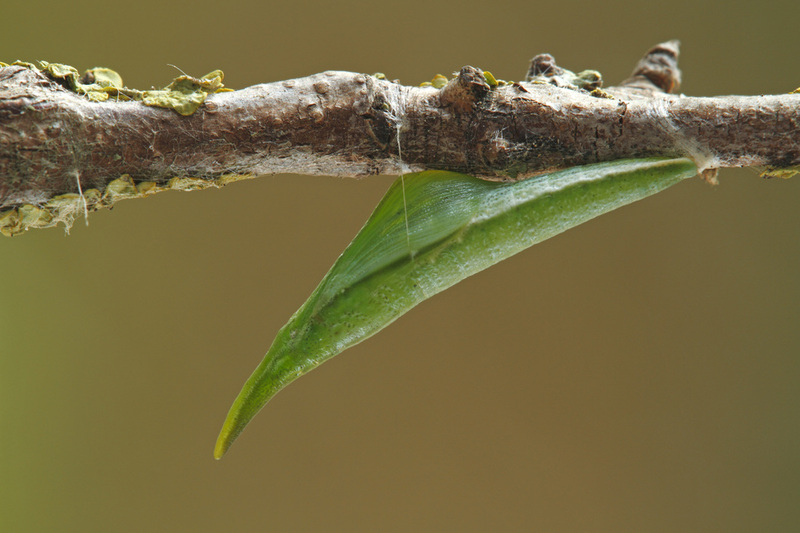 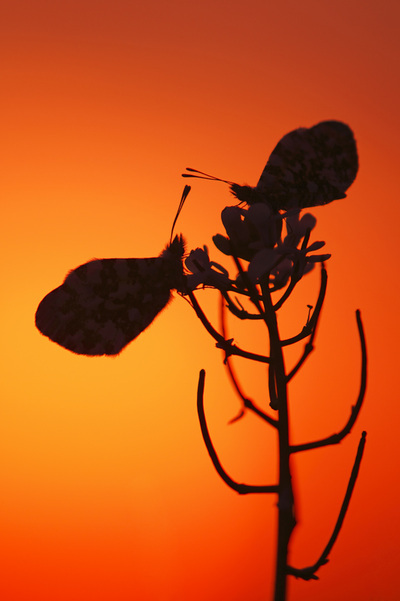 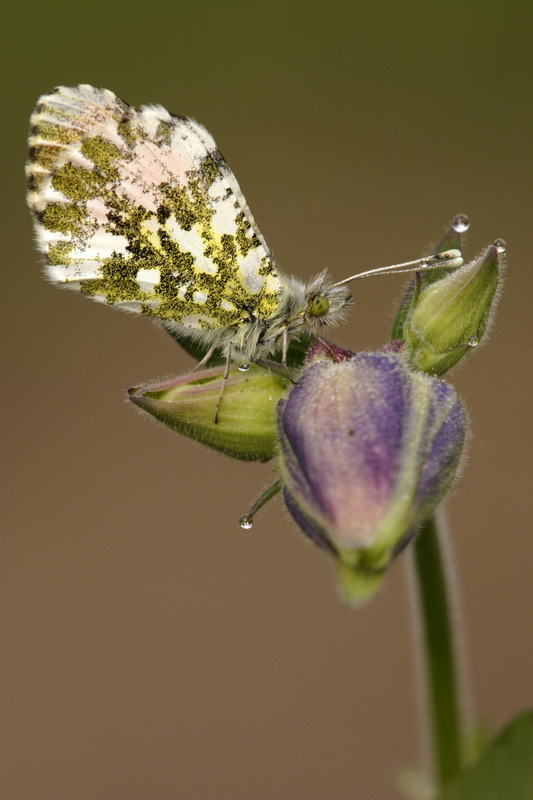 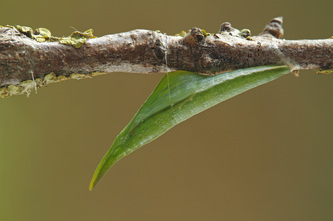 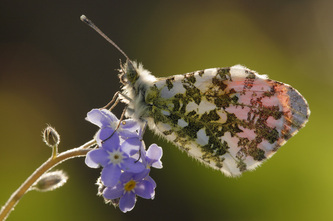 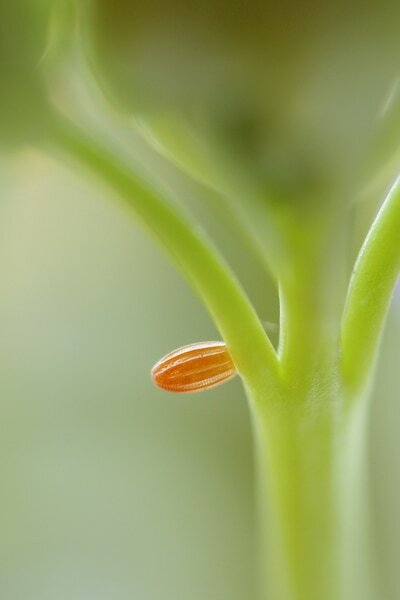 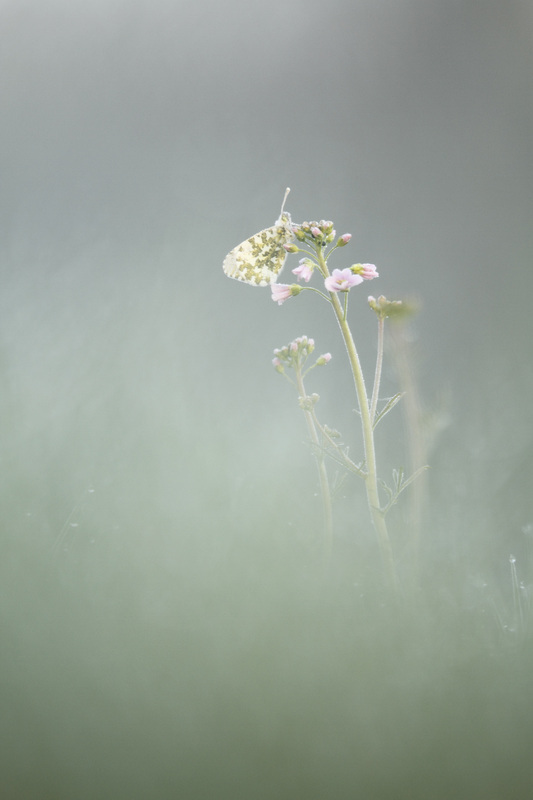 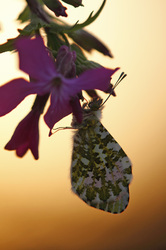 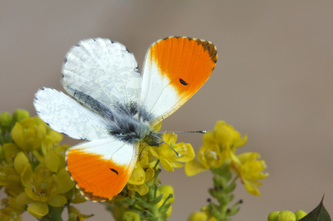 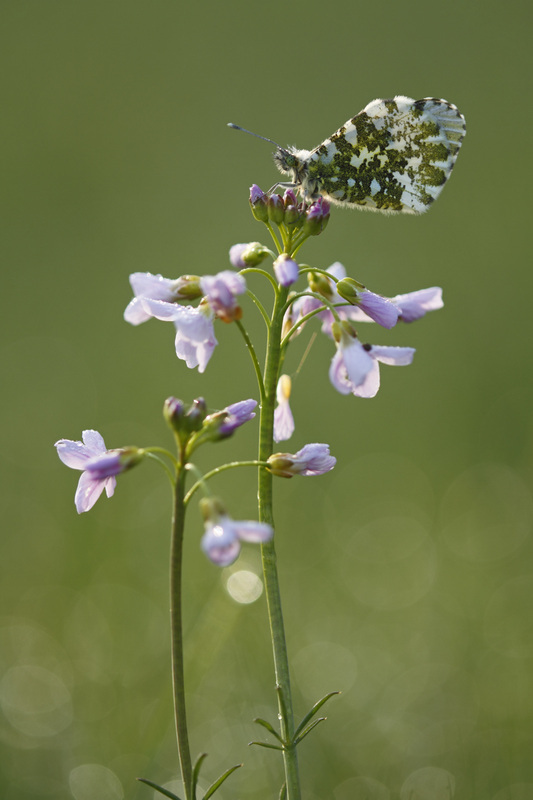 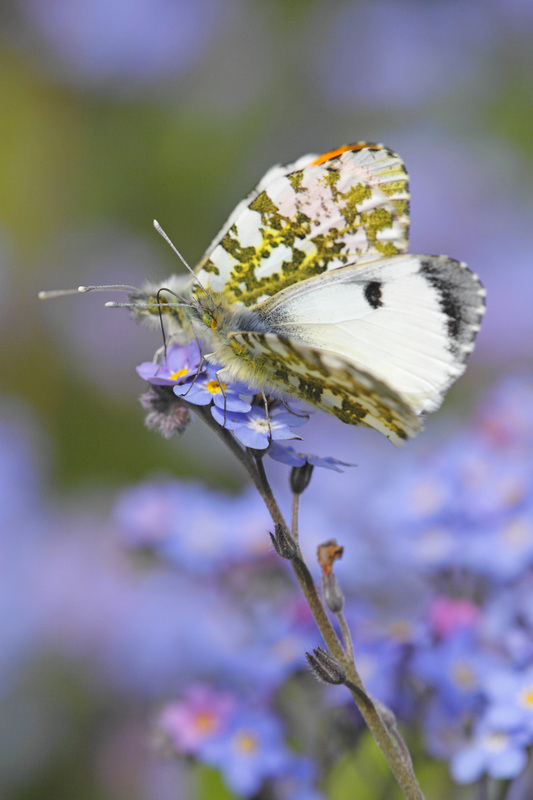 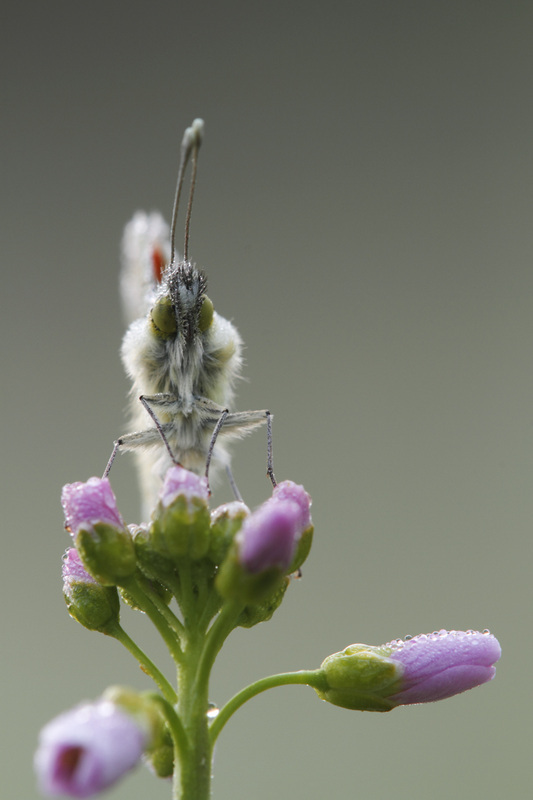 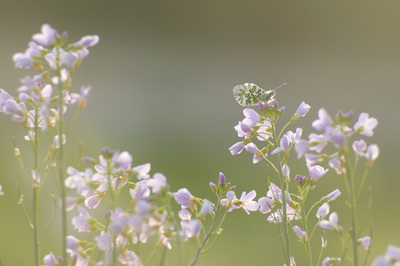 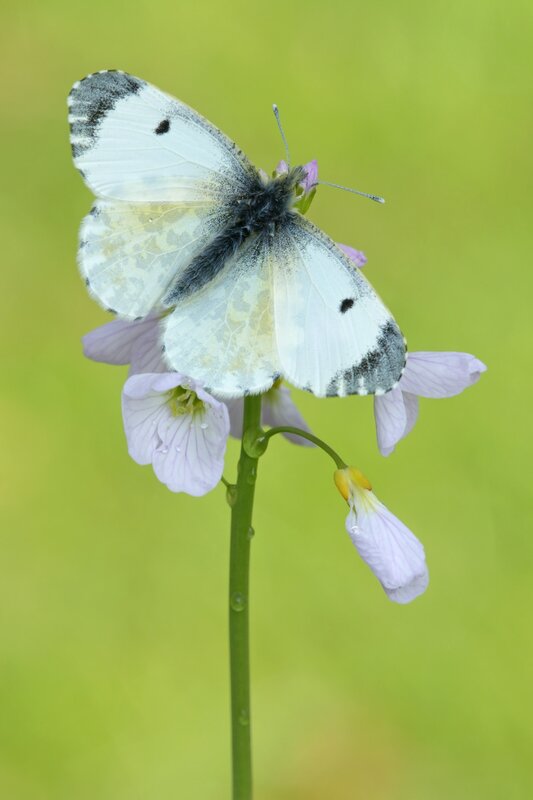 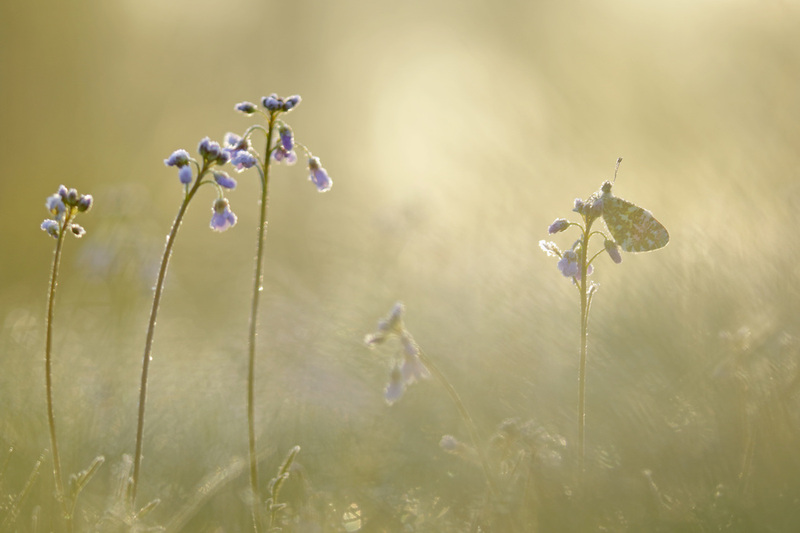 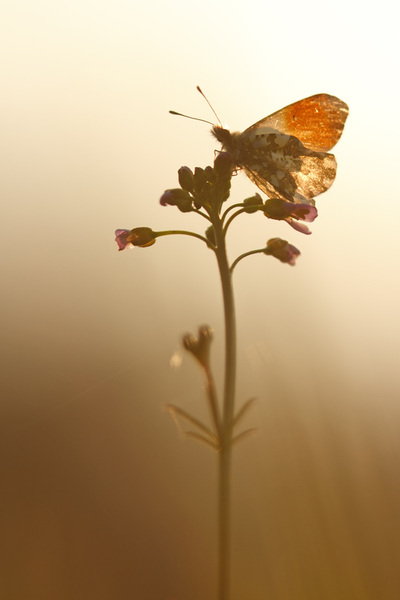 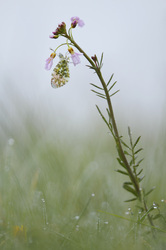 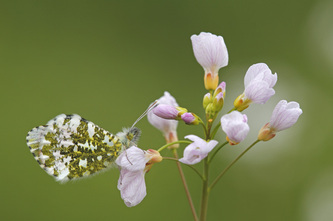 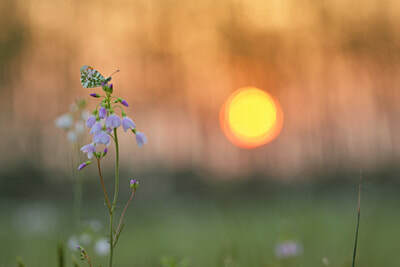 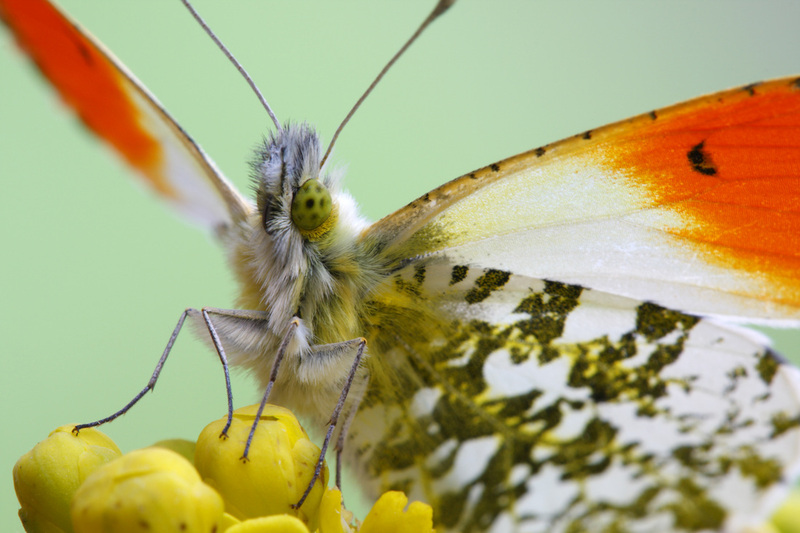 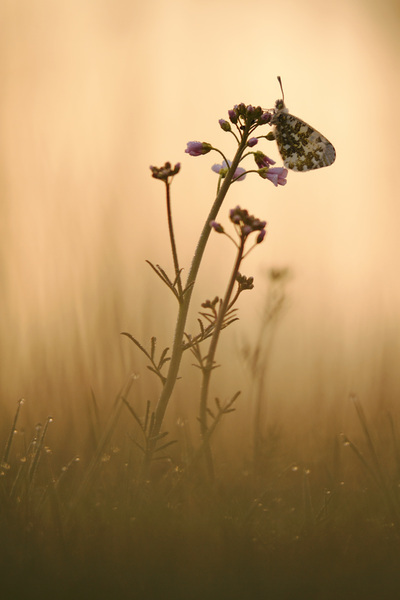 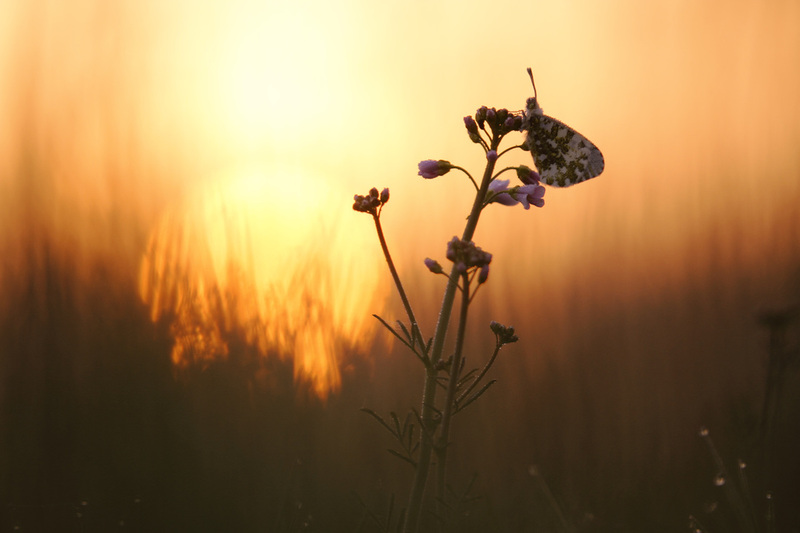 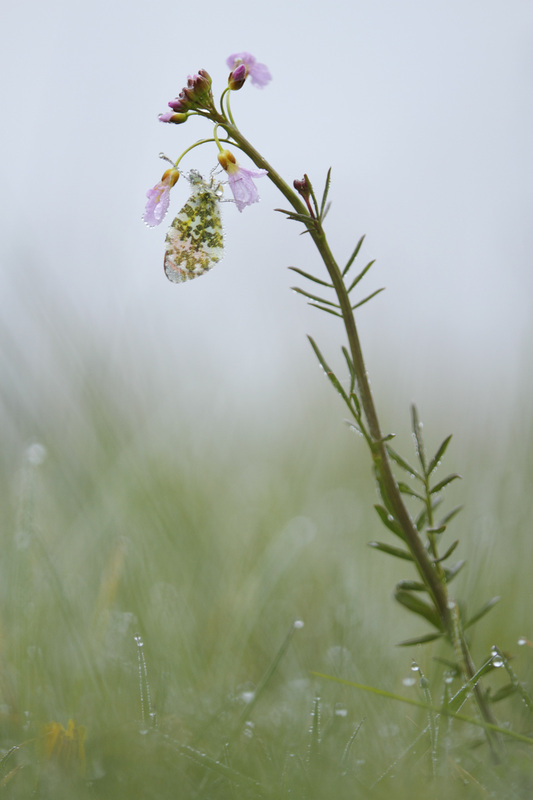 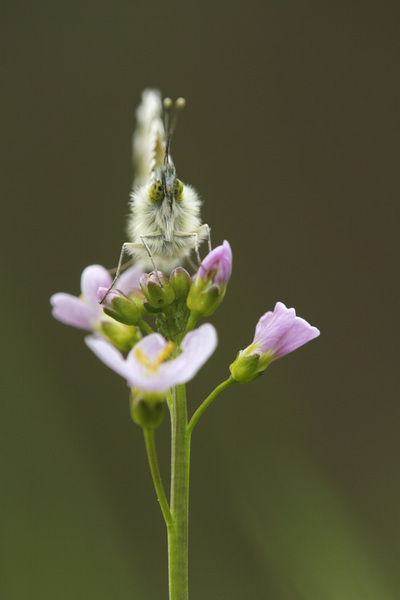 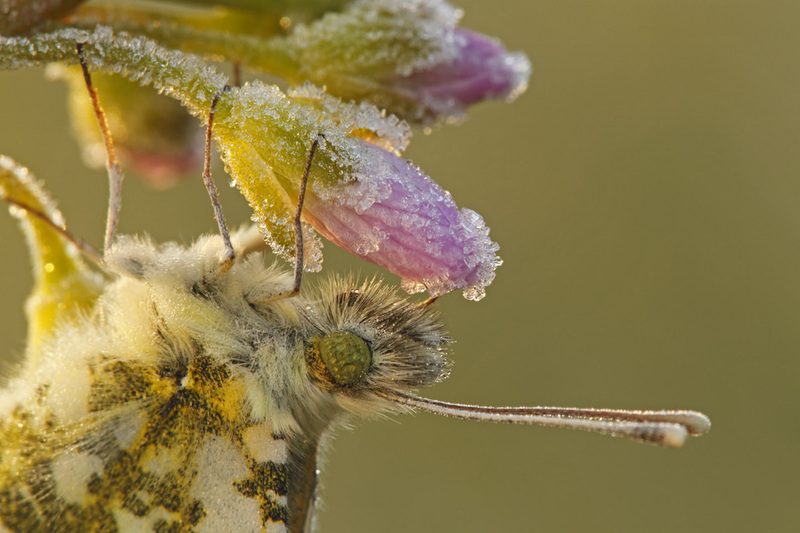 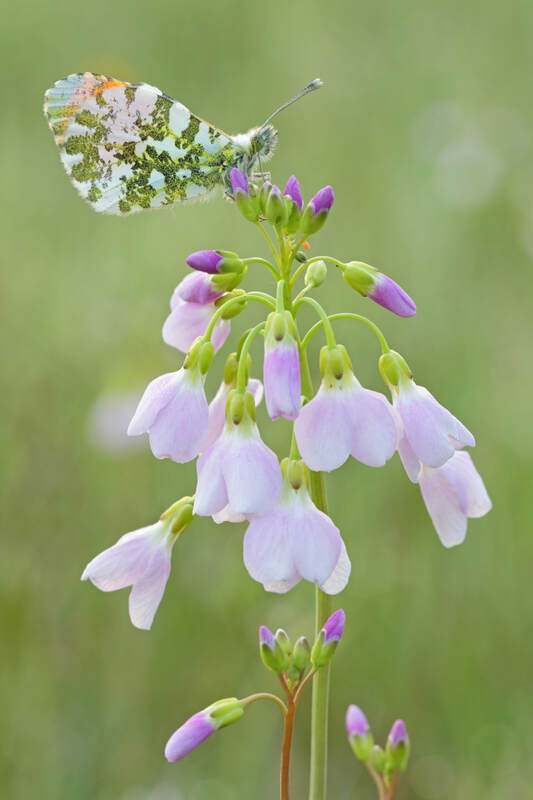 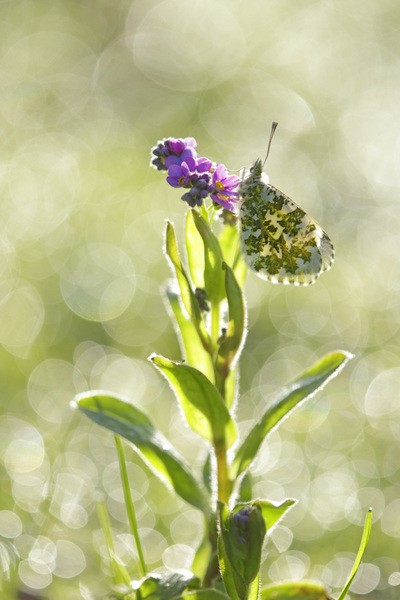 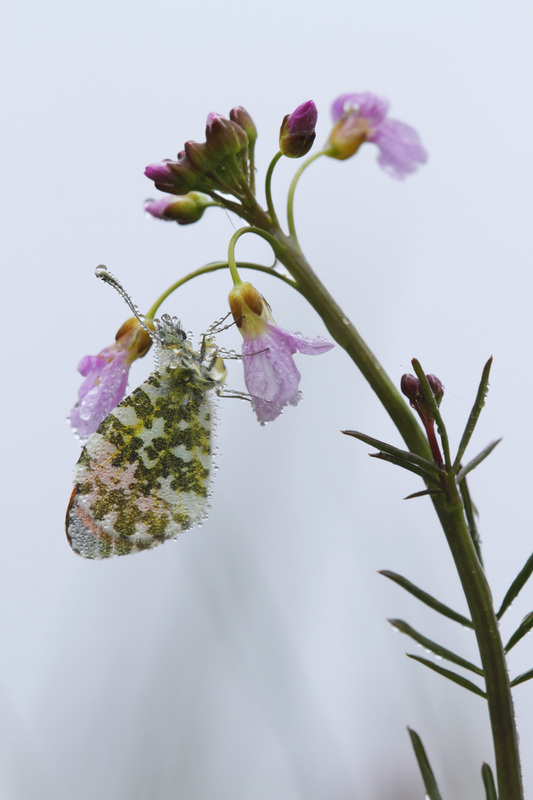 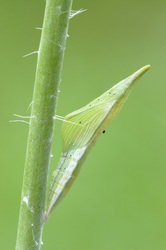 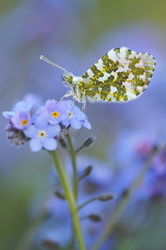 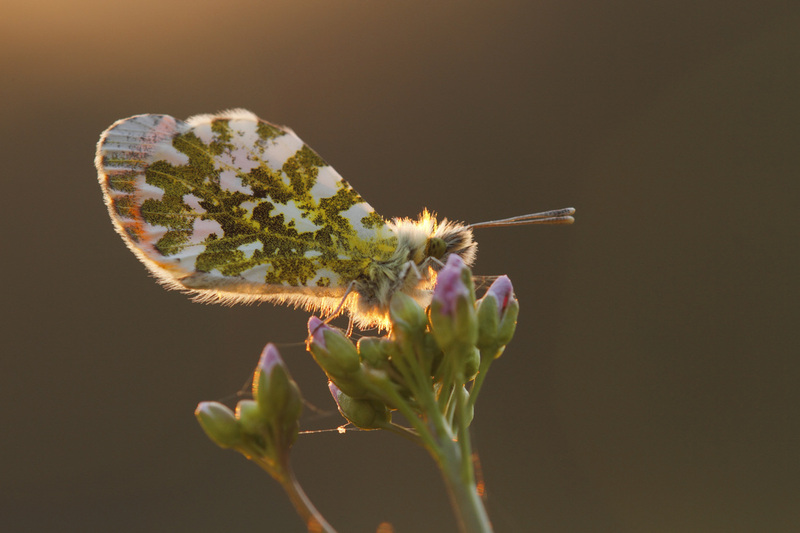 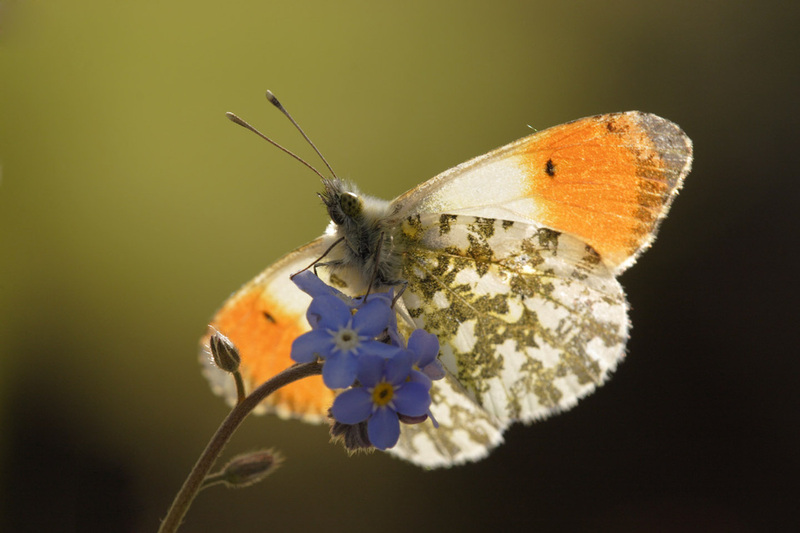 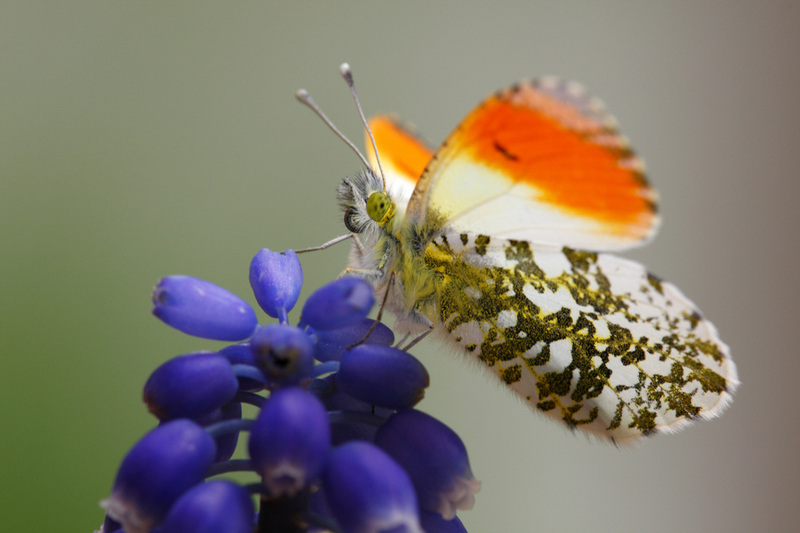 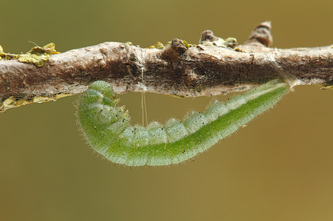 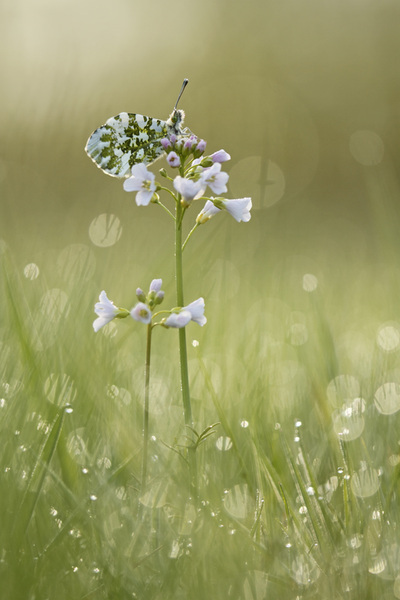 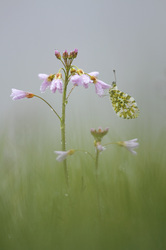 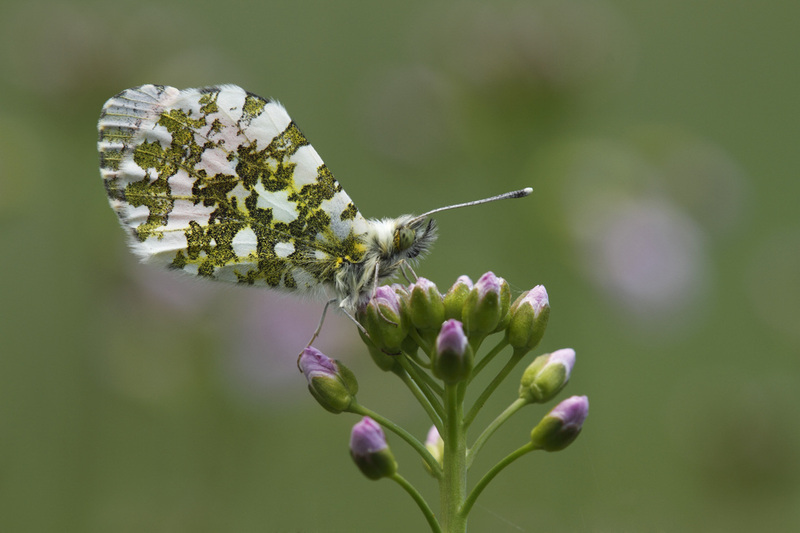 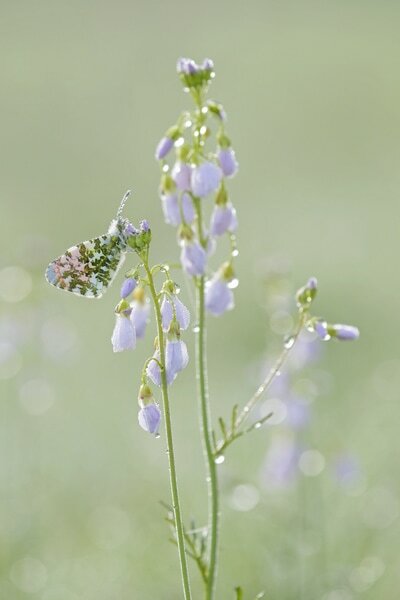 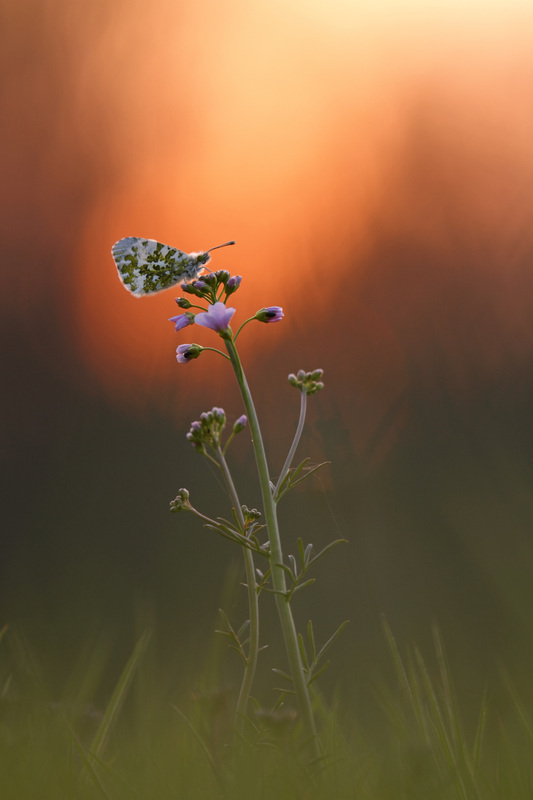 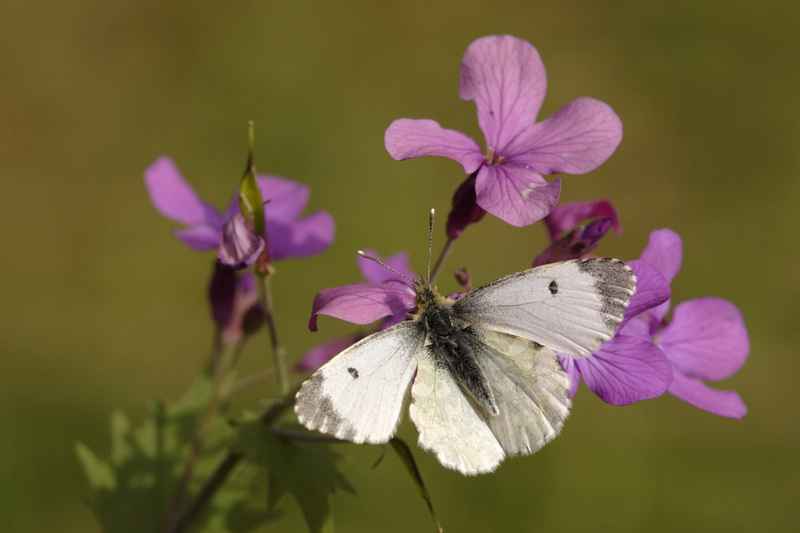 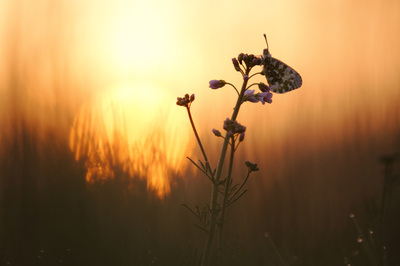 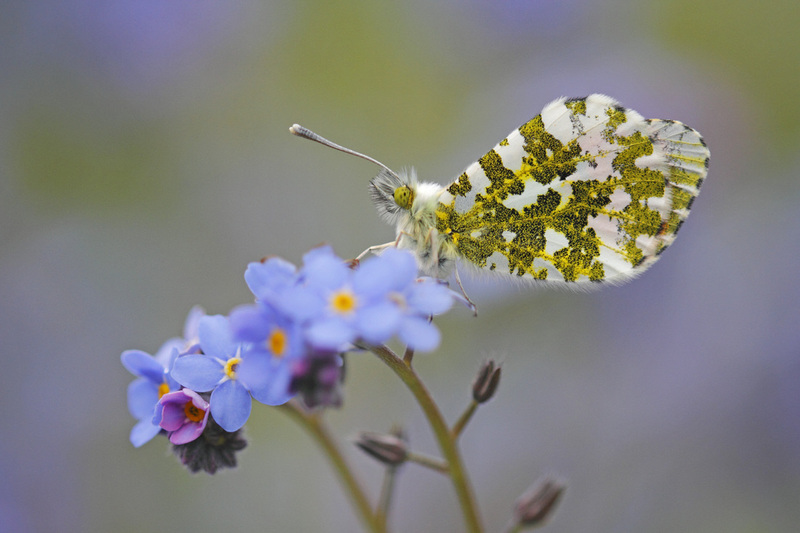 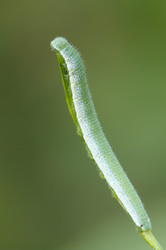 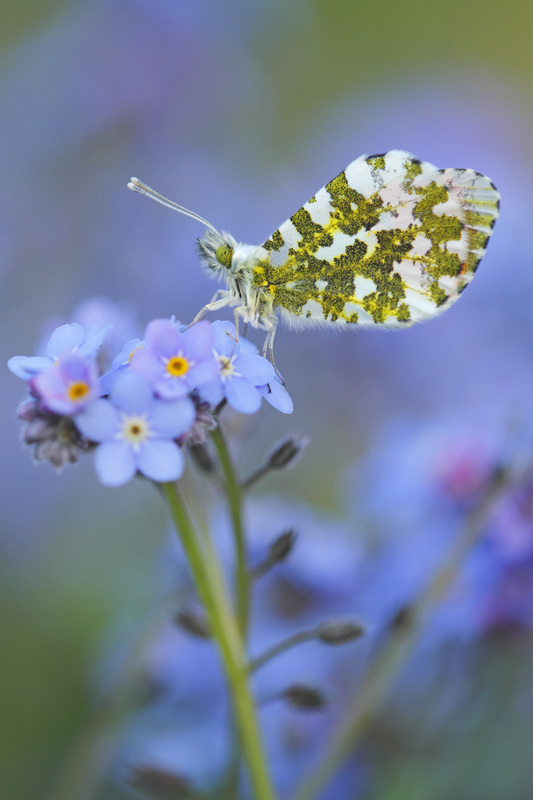 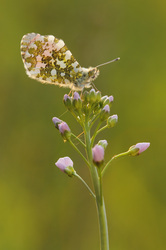 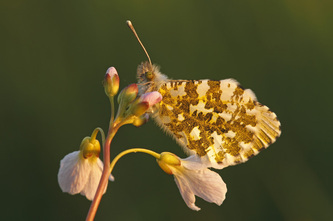 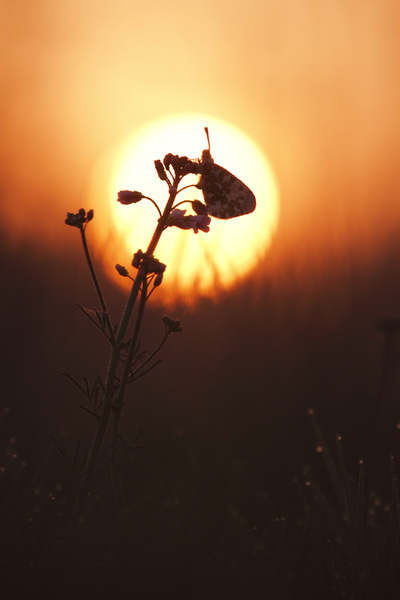 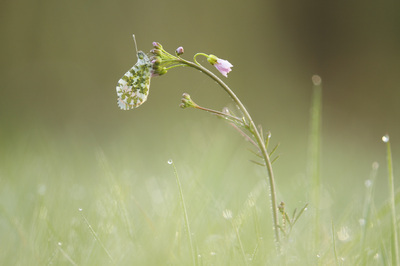 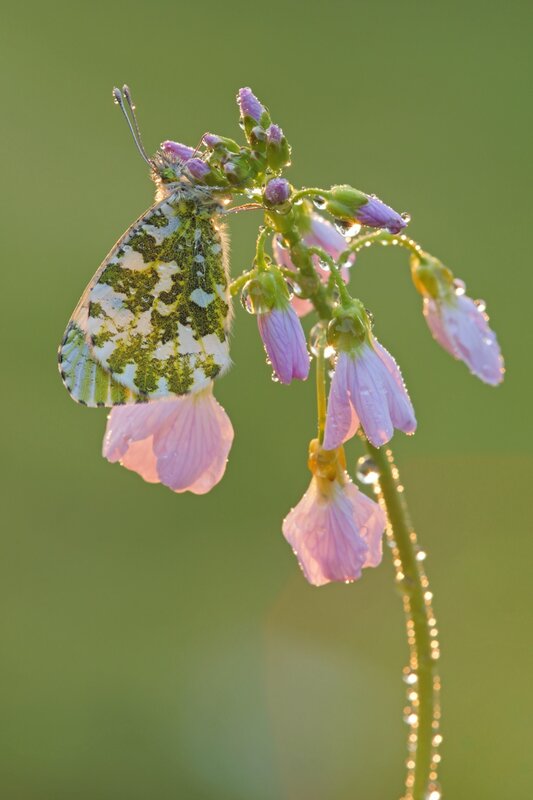 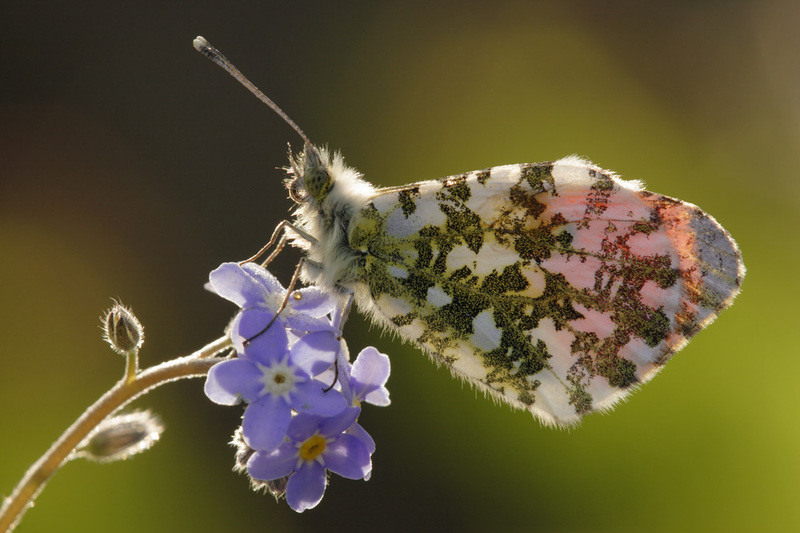 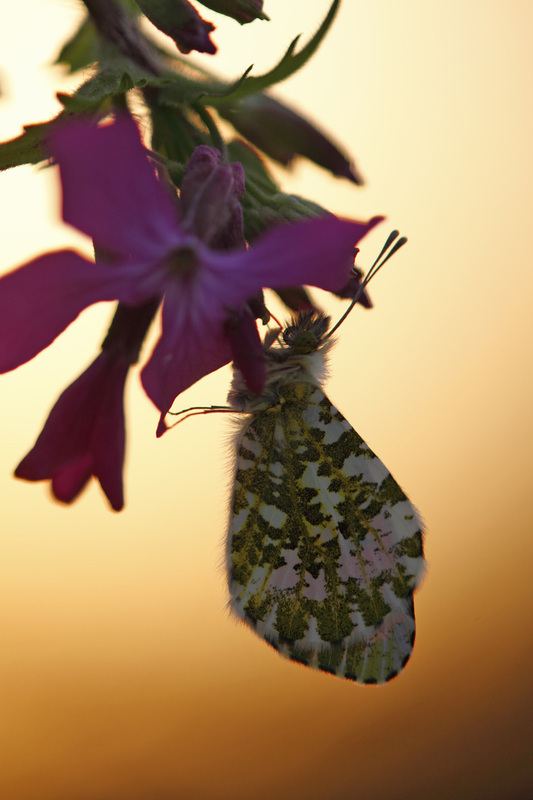 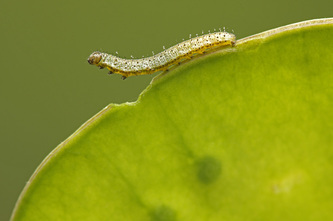 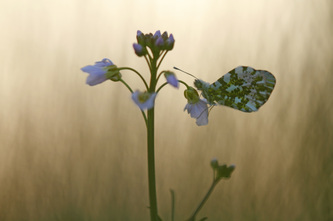 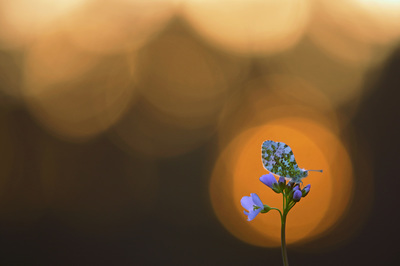 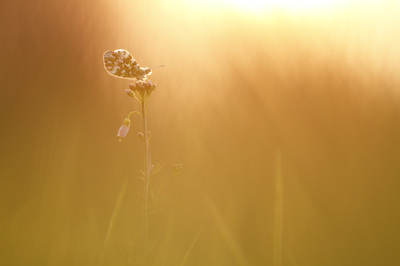 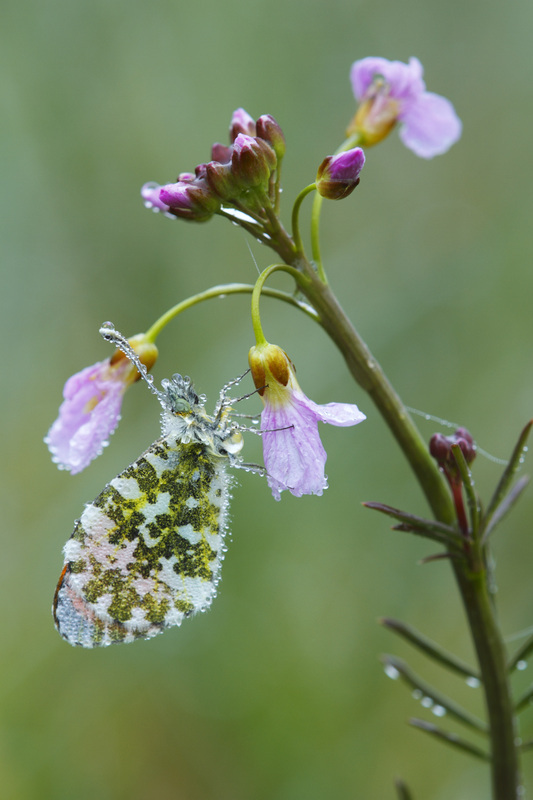 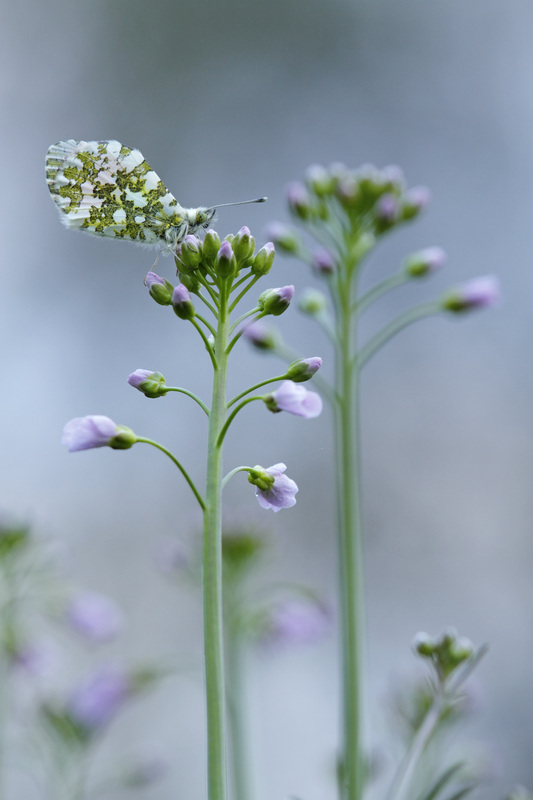 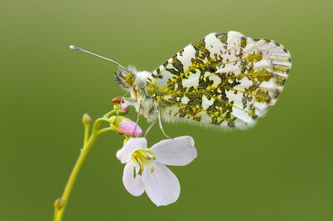 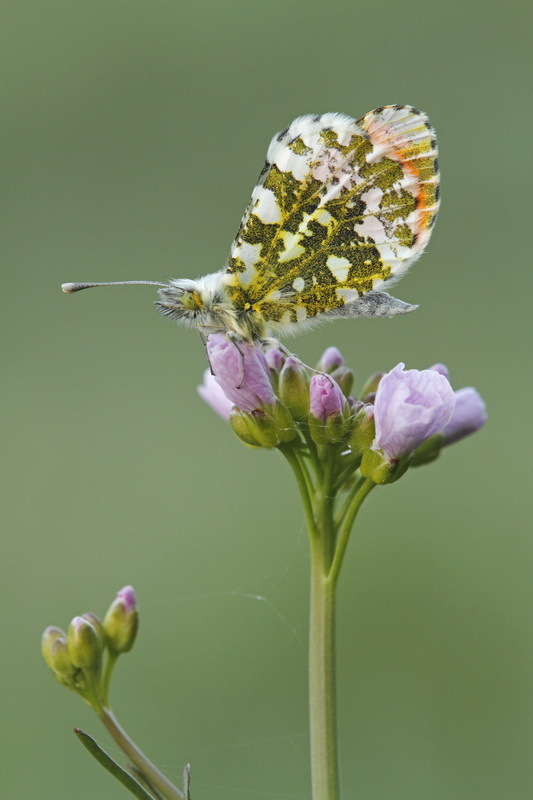 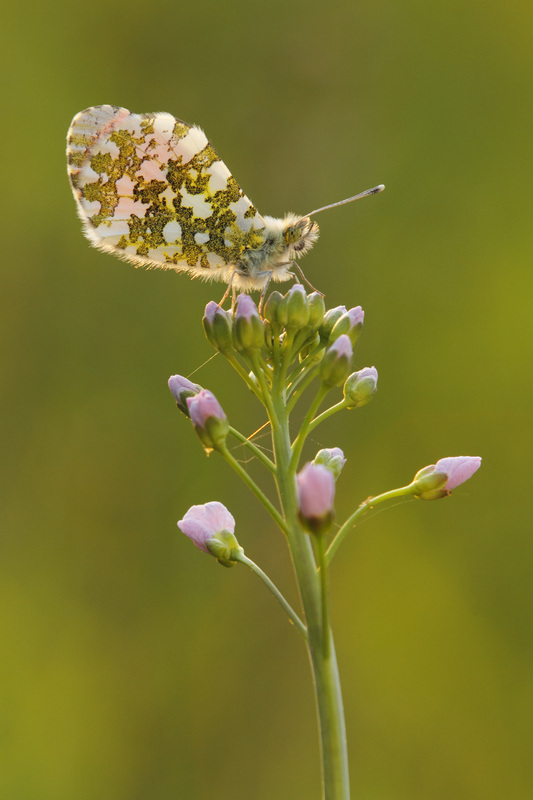 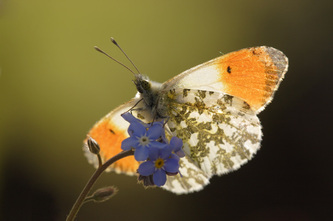 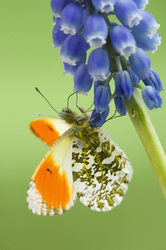 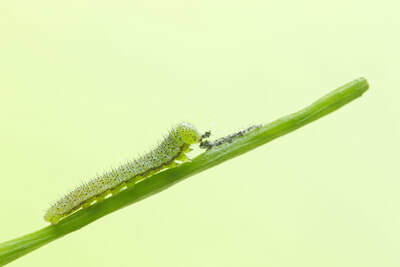 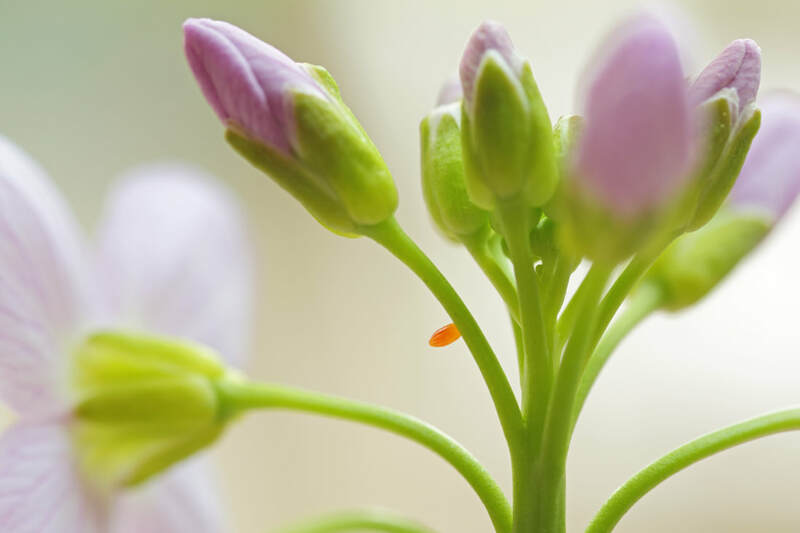 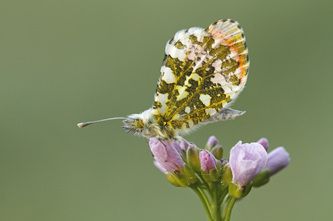 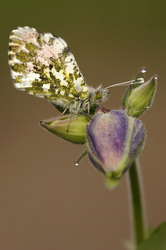 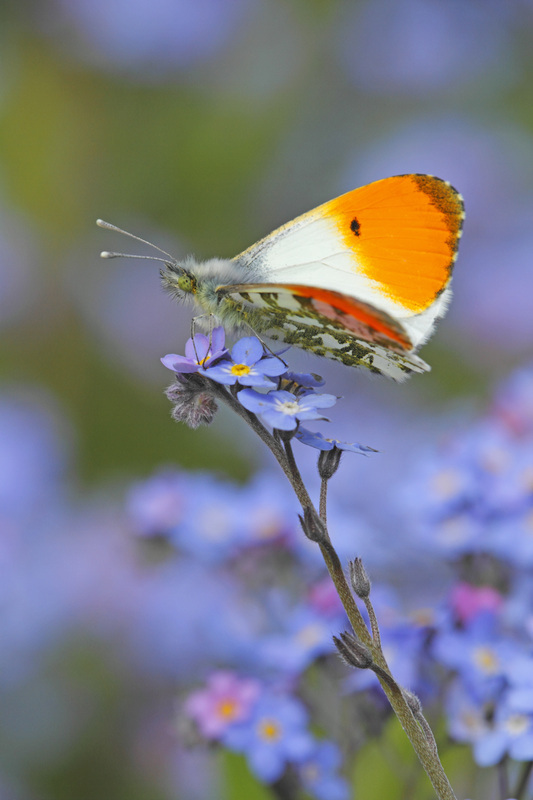 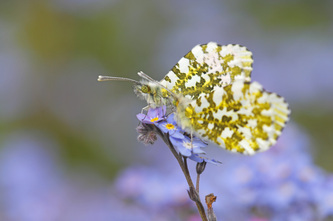 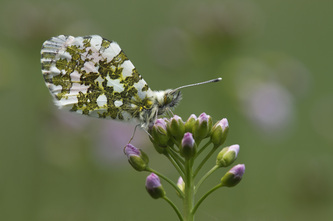 This link will lead to the metamorphosis of the Orange-tip.